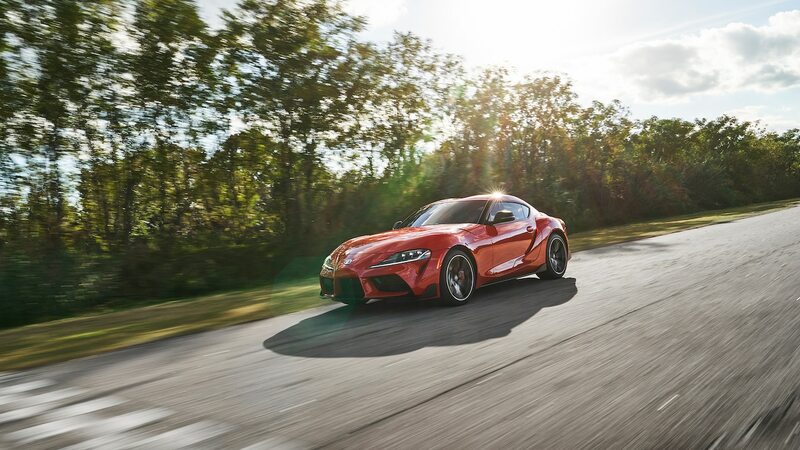 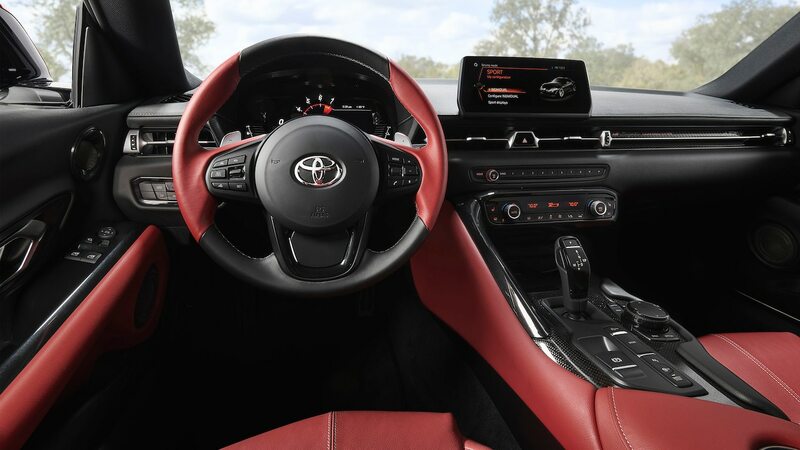 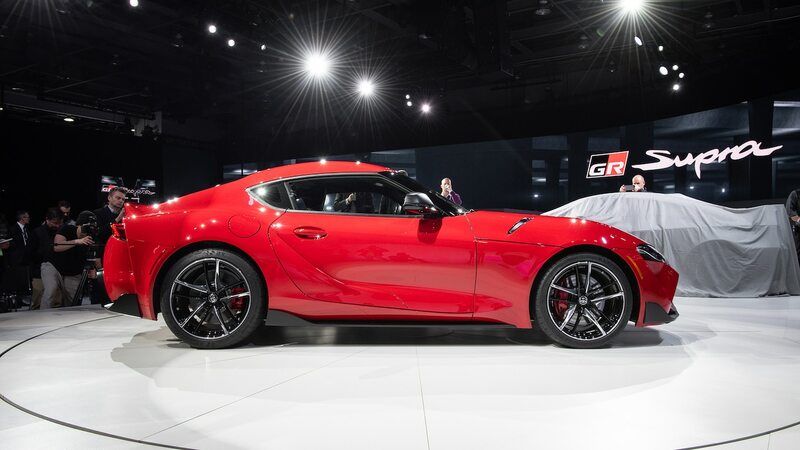 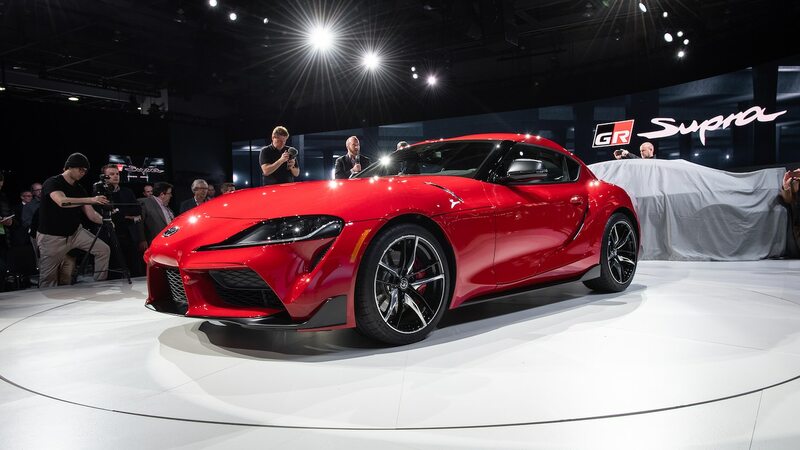 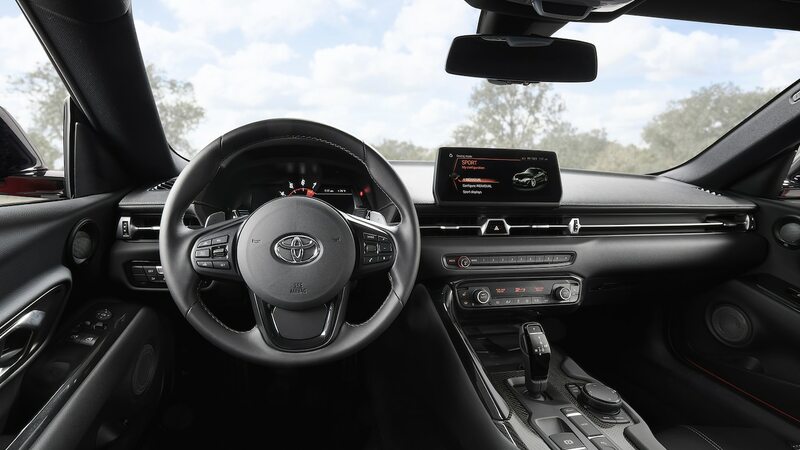 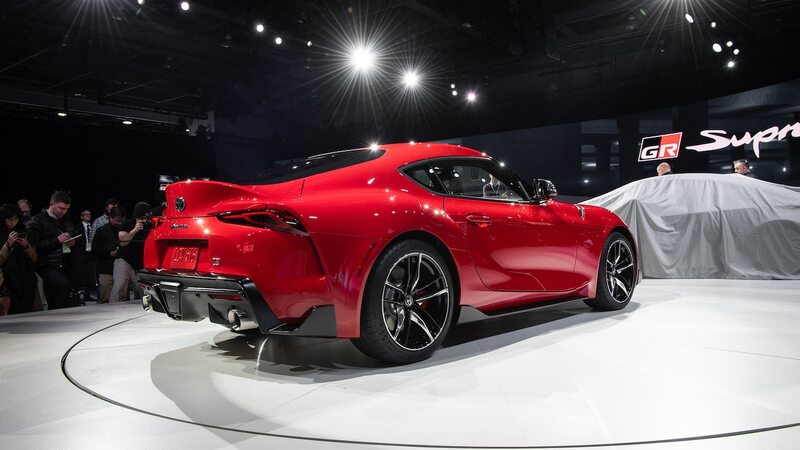 Immediately after the sheet dropped on the all-new fifth-generation Supra, we caught up with several key Toyota personnel responsible for the development and validation of Akio Toyoda’s pet project and the company’s flagship sports car. 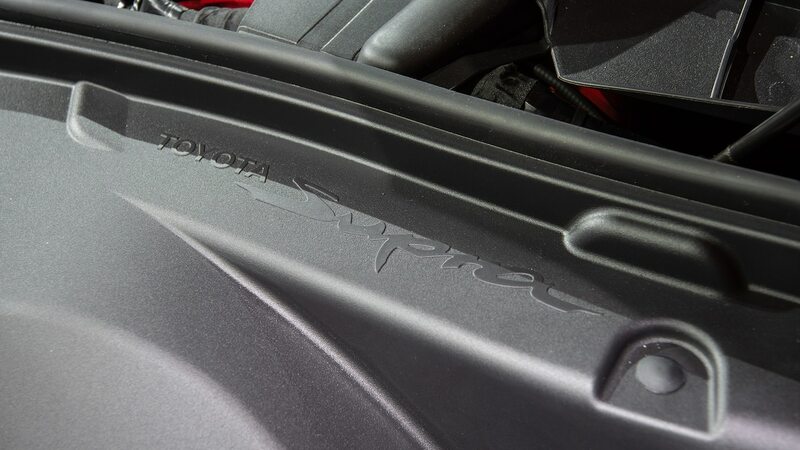 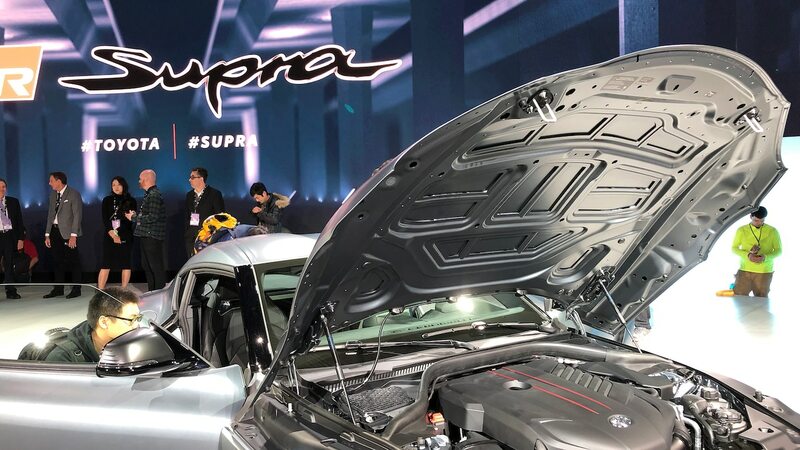 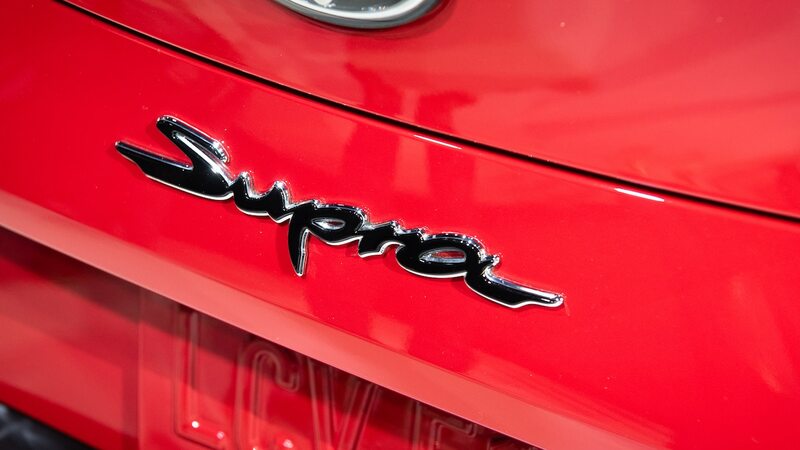 According to Nobuo Nakamura, Supra’s project chief designer, the hood is the largest that Magna Steyr could make. 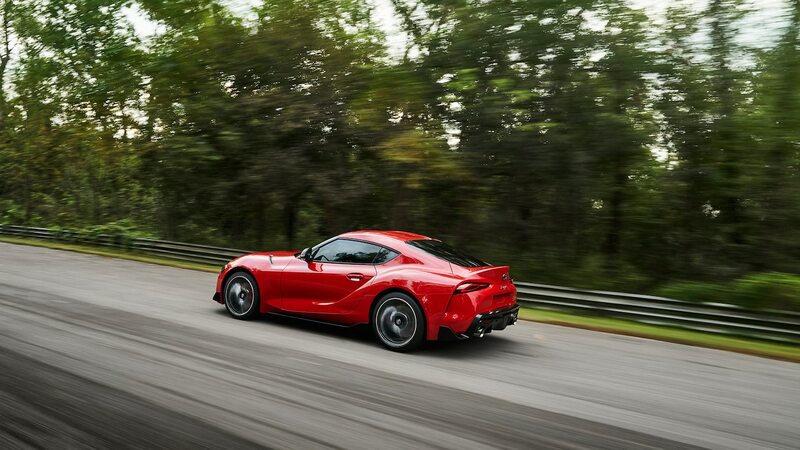 Toyota apparently had to push its partners to make a single-piece, wraparound bonnet of that size. 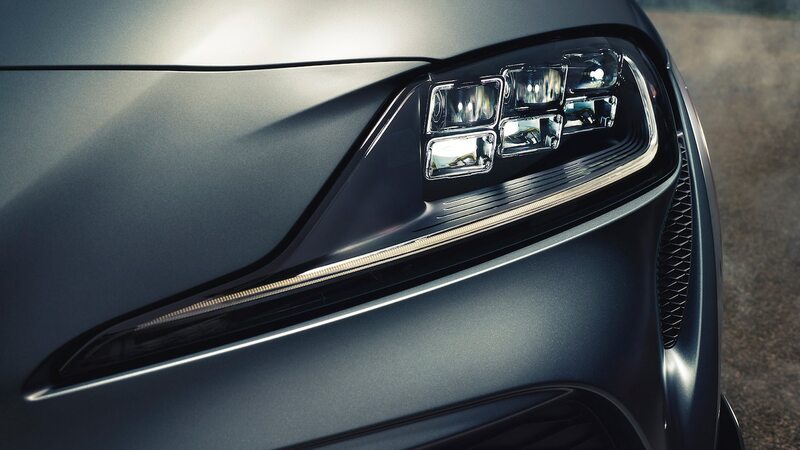 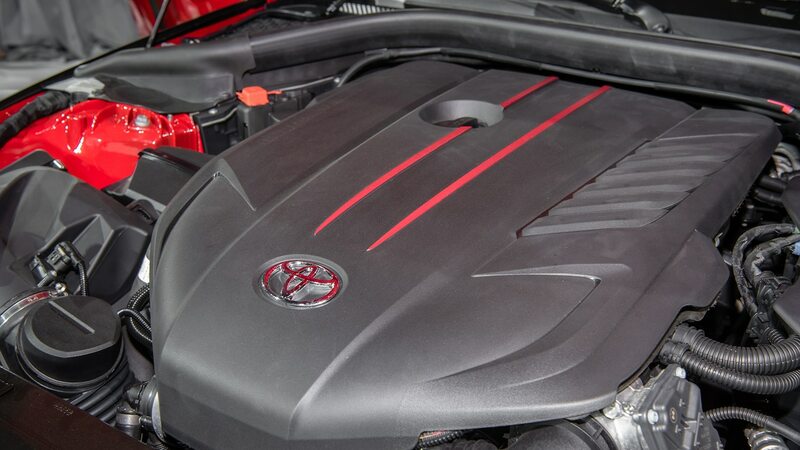 The limiting factor, says Nakamura: the width of the rolls of aluminum raw stock, from which the hood is pressed. 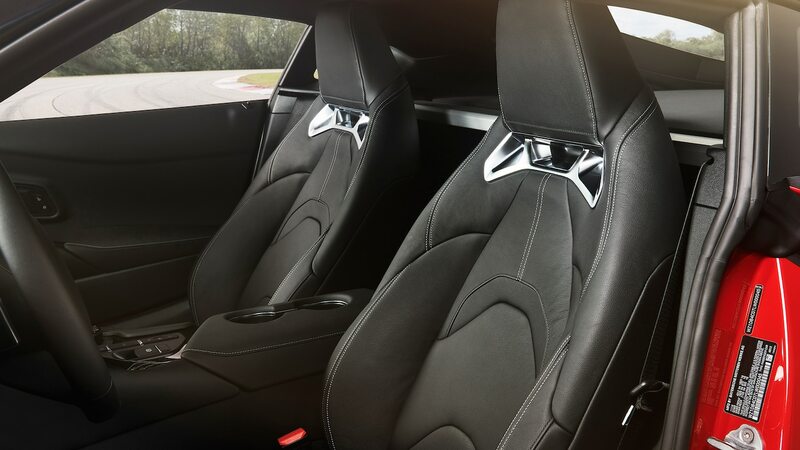 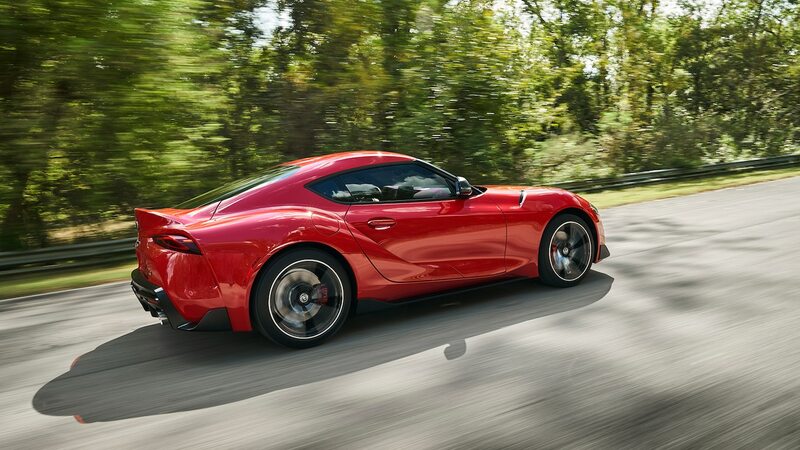 We know Porsches were squarely in the sights of Supra’s performance engineers, but the exterior designers also targeted a specific area of one Porsche’s raciest models. 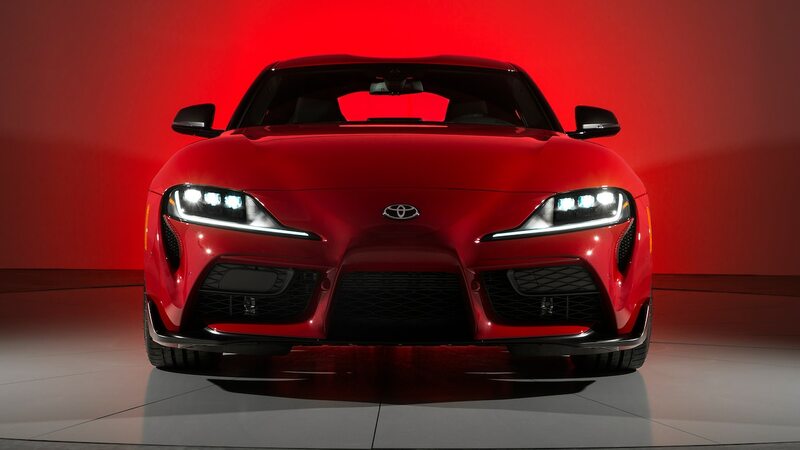 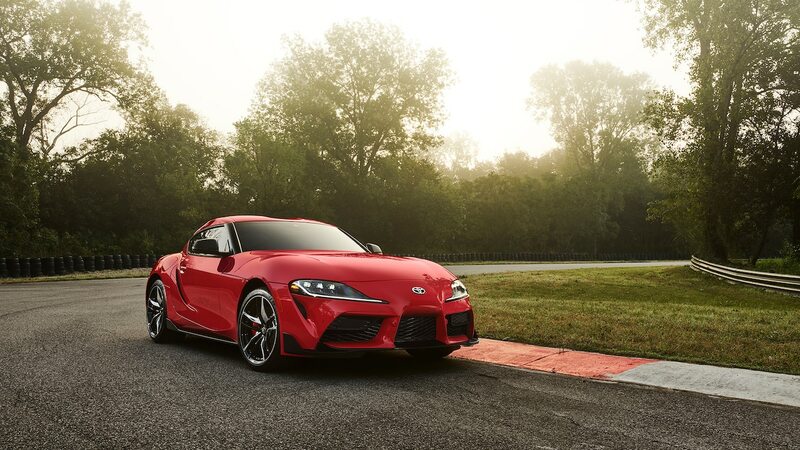 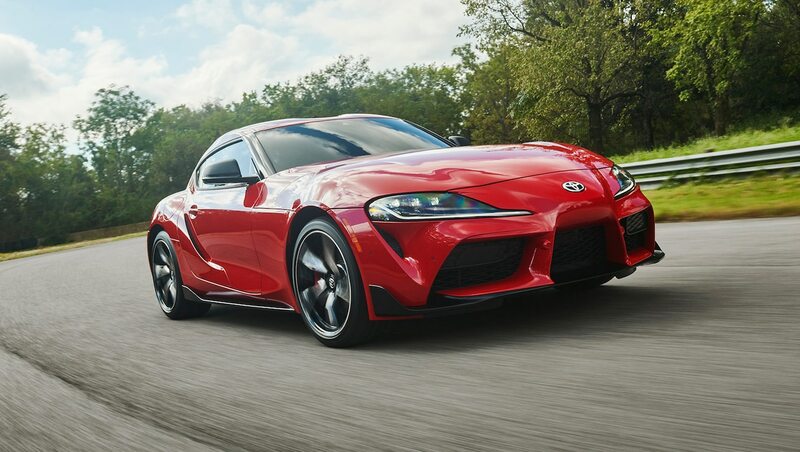 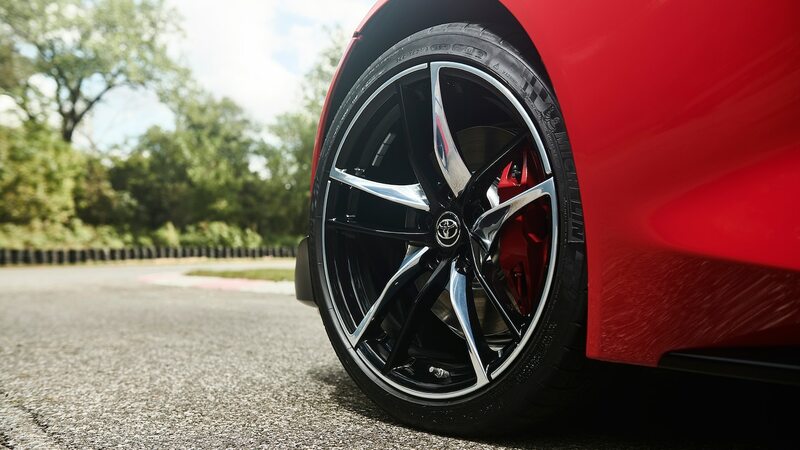 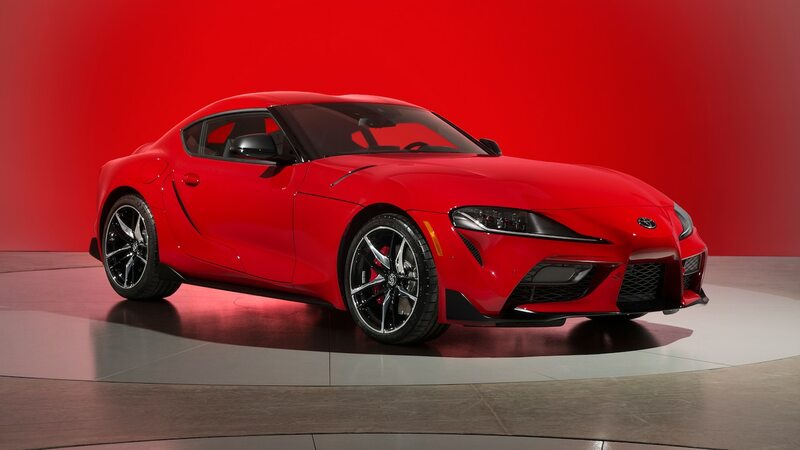 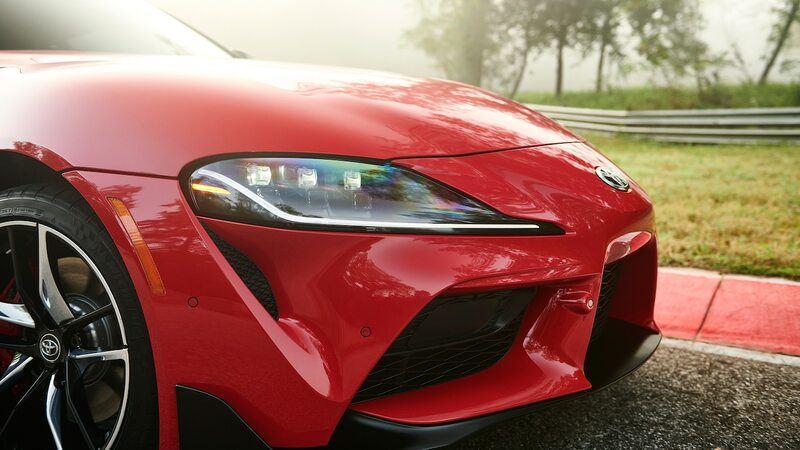 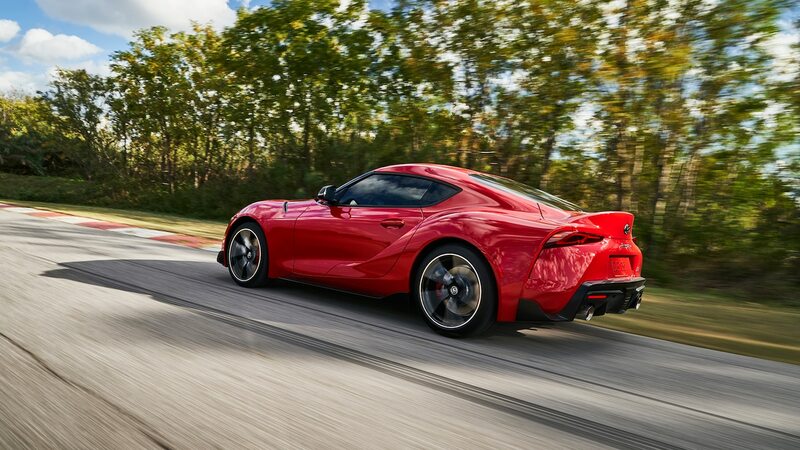 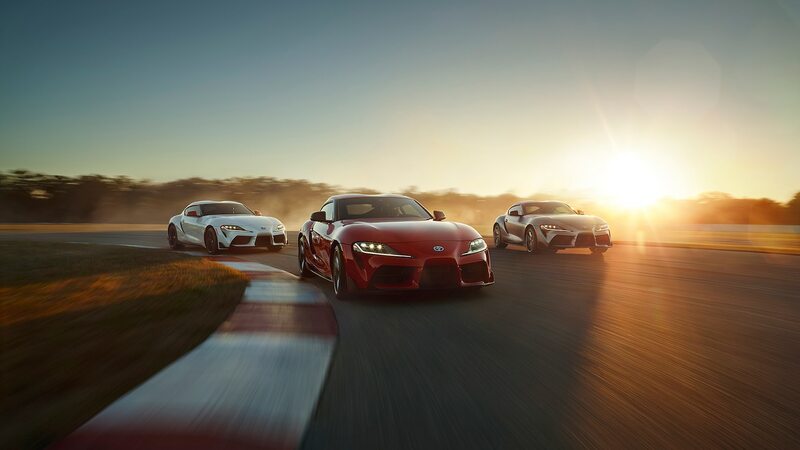 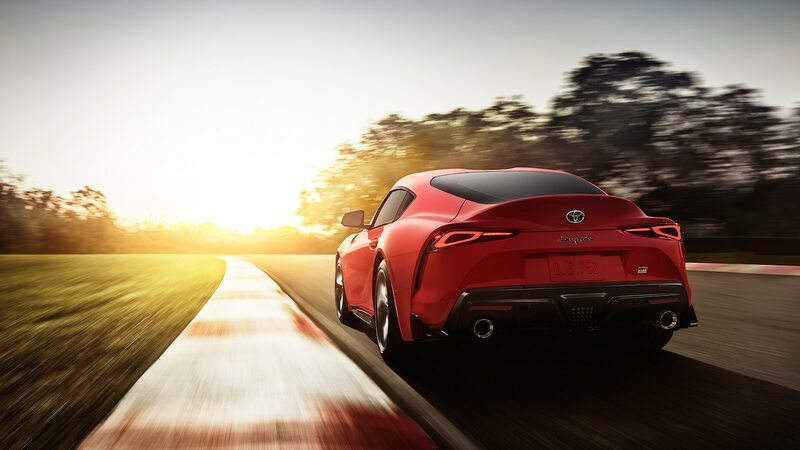 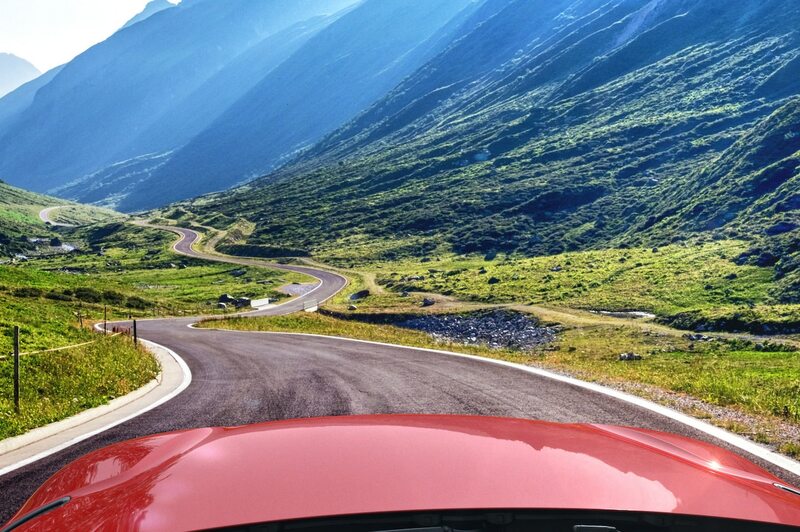 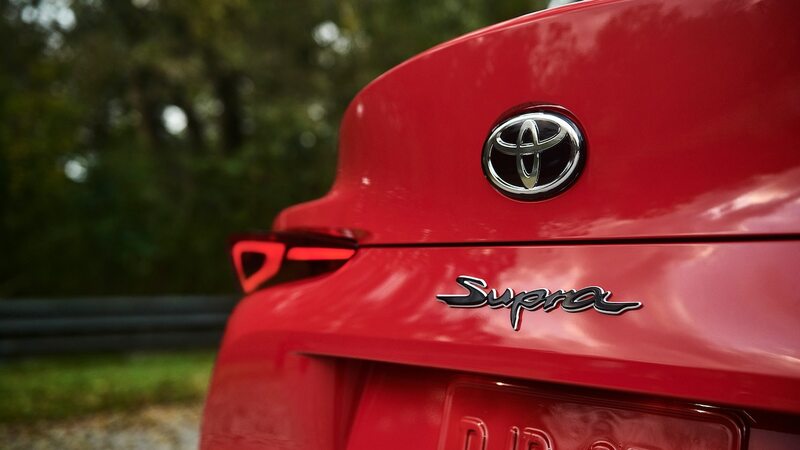 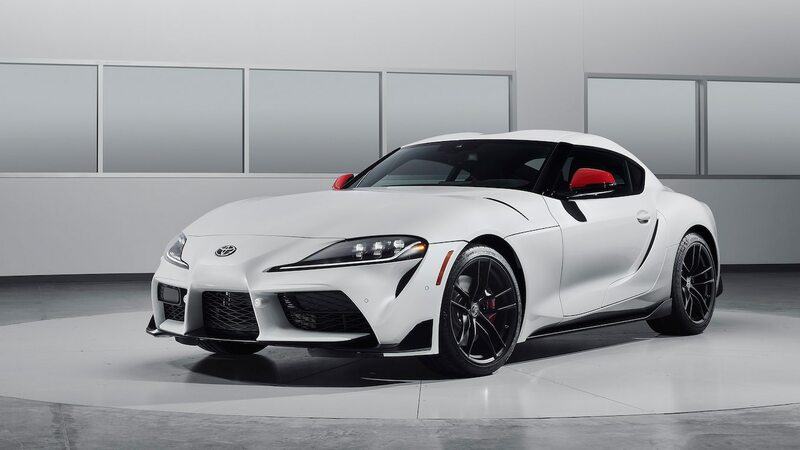 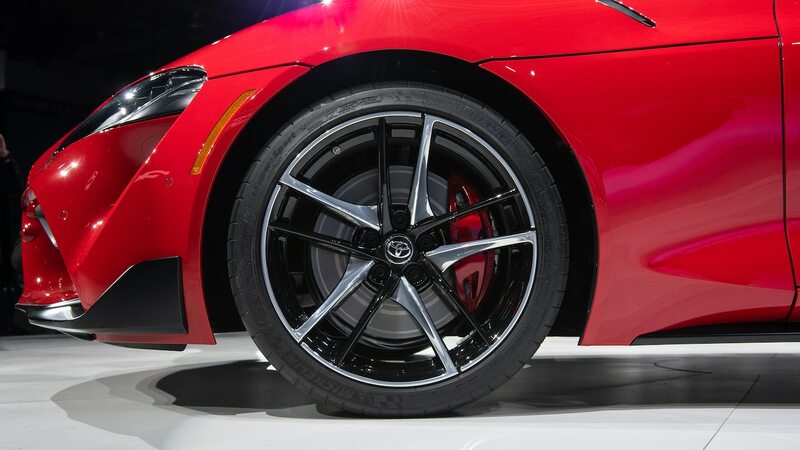 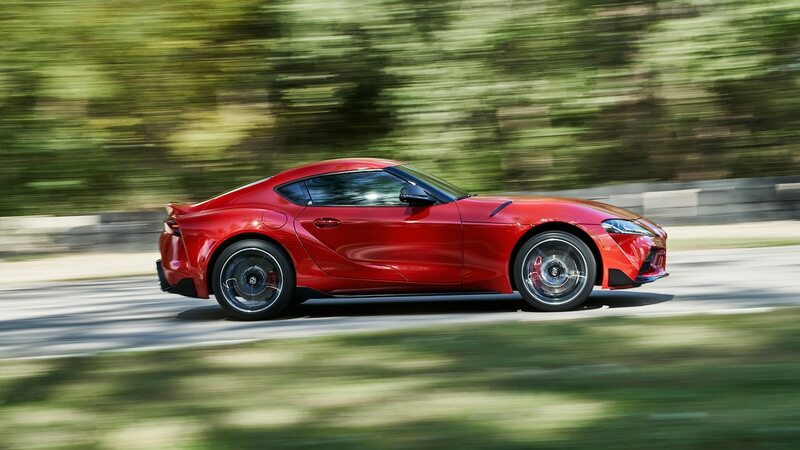 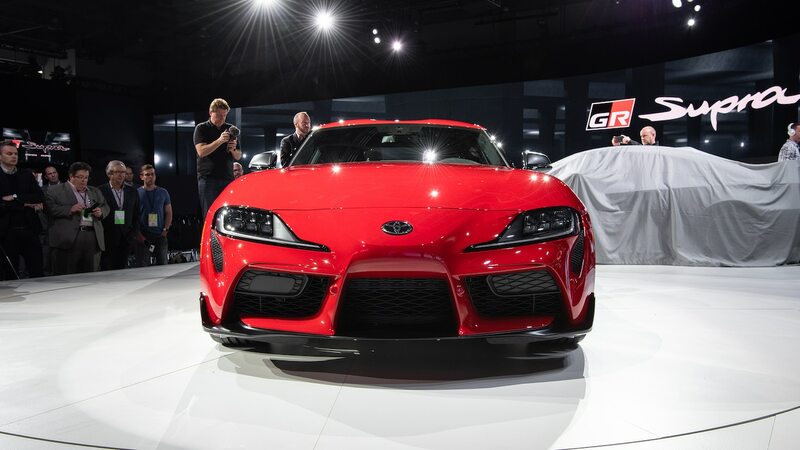 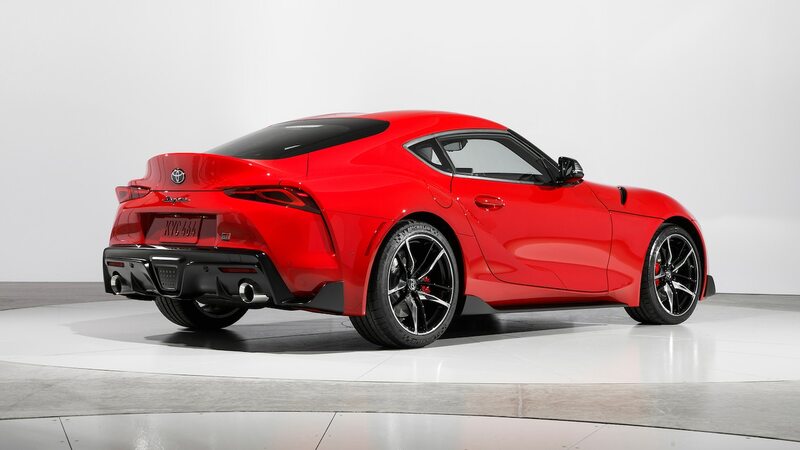 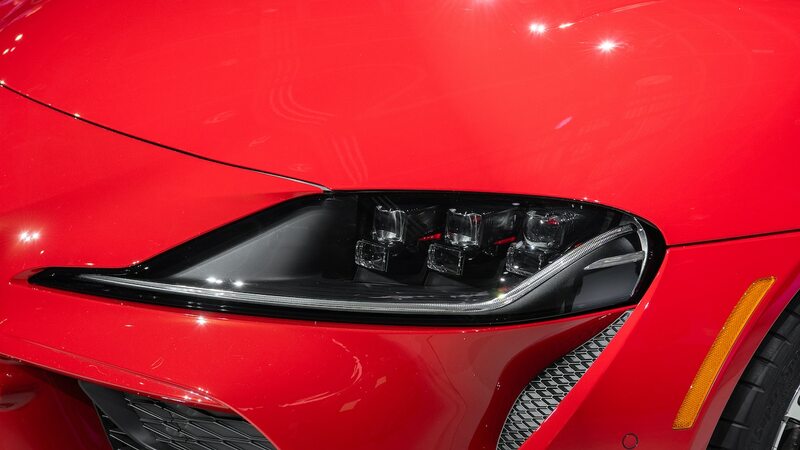 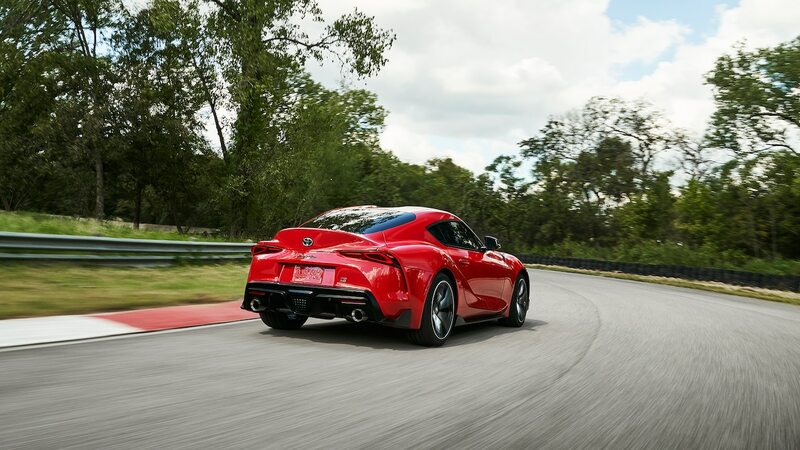 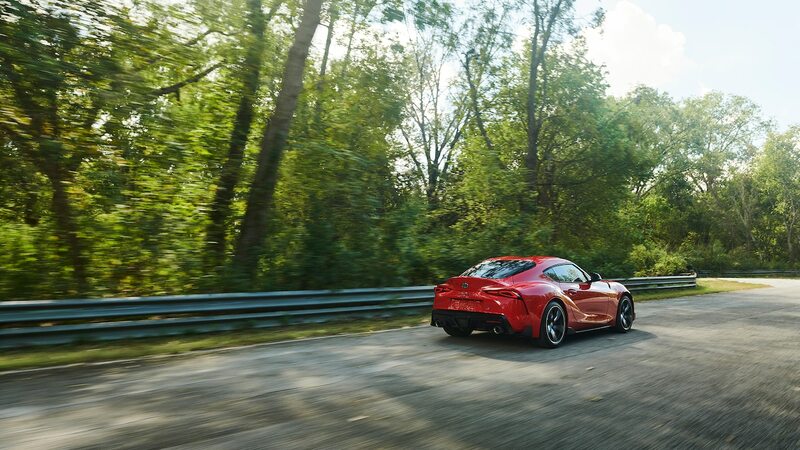 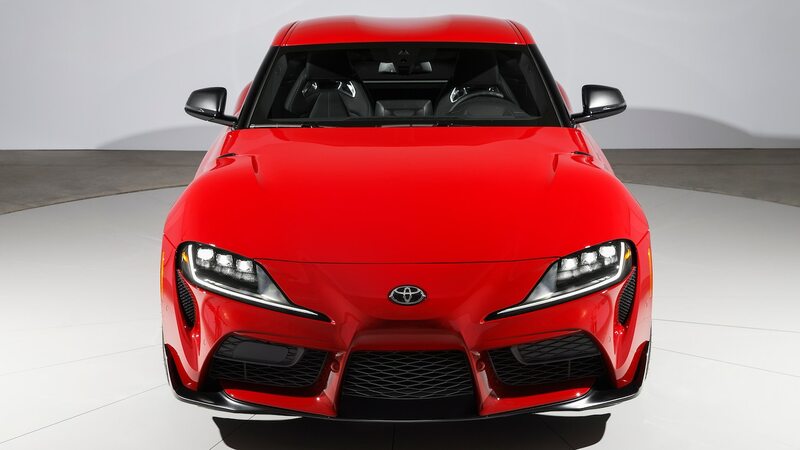 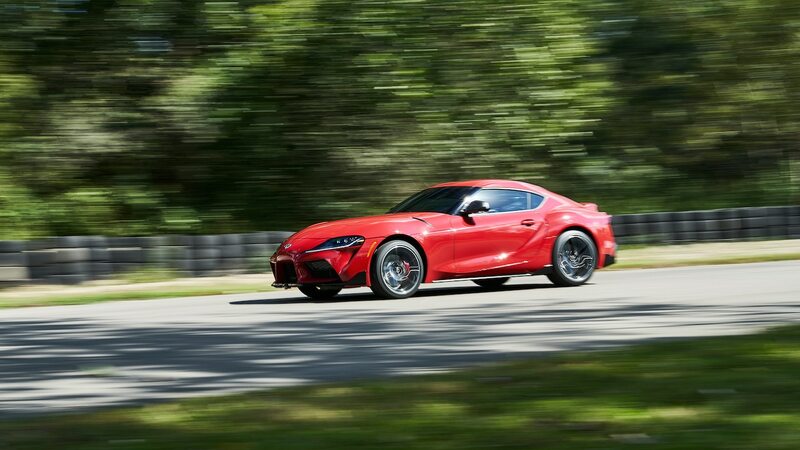 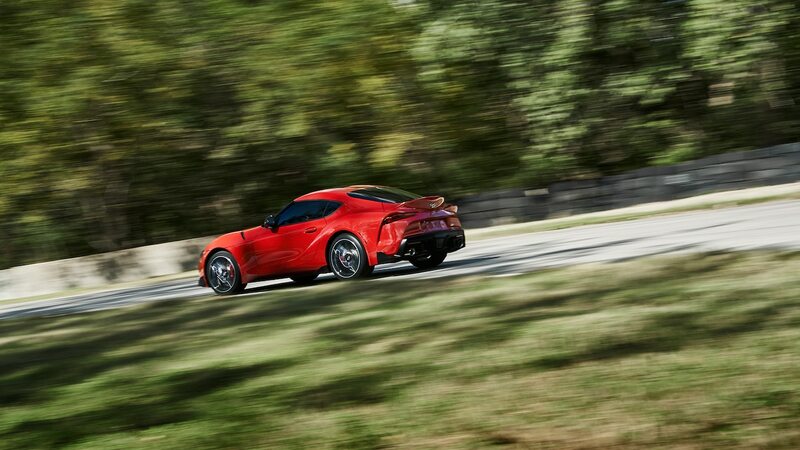 In attempting to go wider than the rear fenders of Porsche 911 GT3 (991 version), it appears the Supra has also set a record for Toyota production cars. 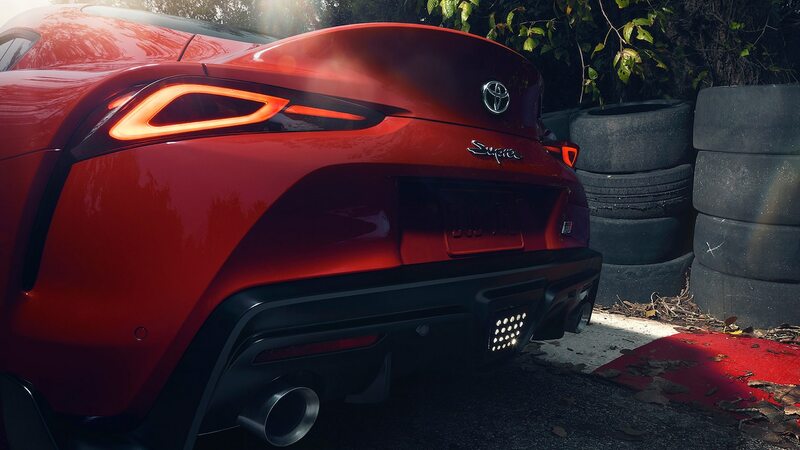 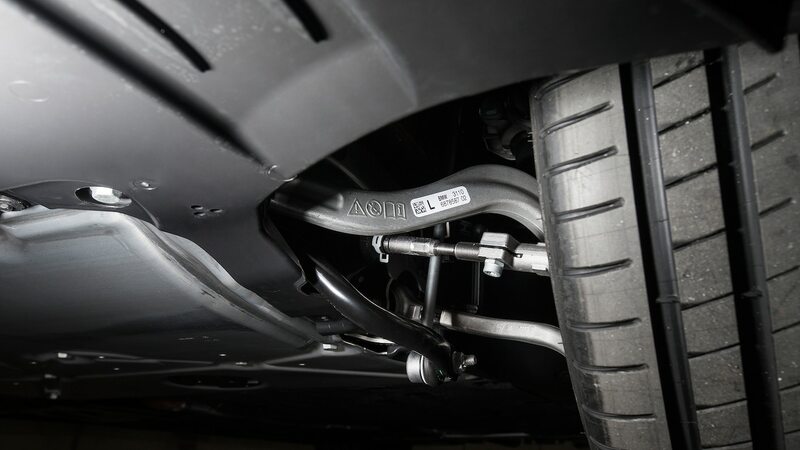 To use industry jargon, the Supra steel rear fenders should have the “deepest draw” for a Toyota vehicle. 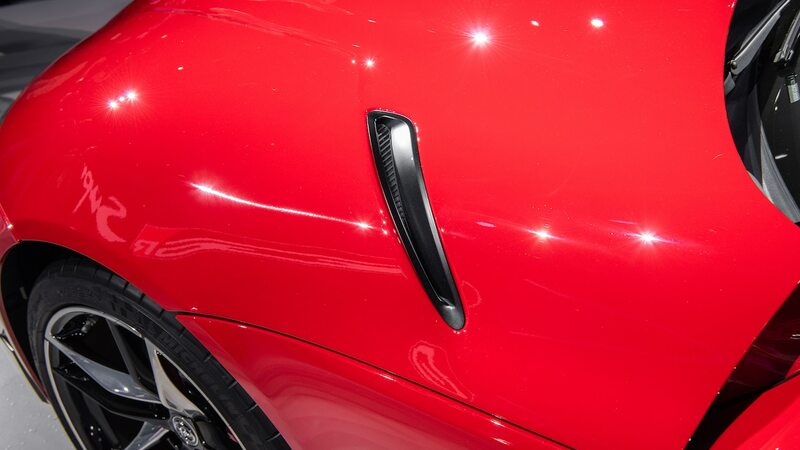 This means that the single piece of steel that forms the fender has been stamped with aggressive depth. 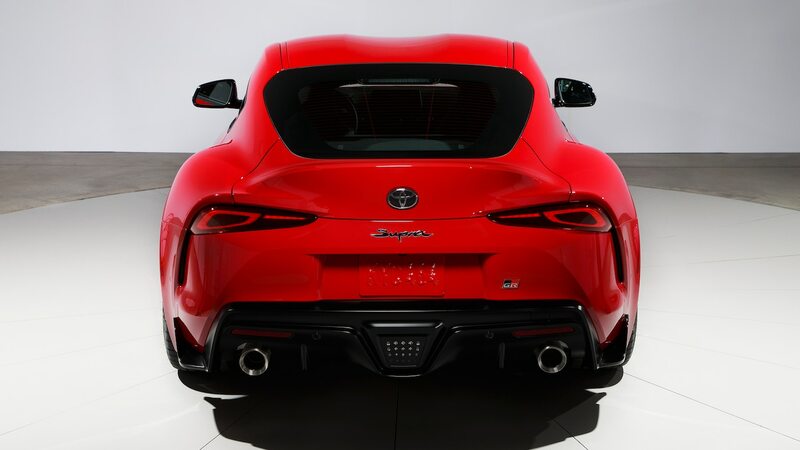 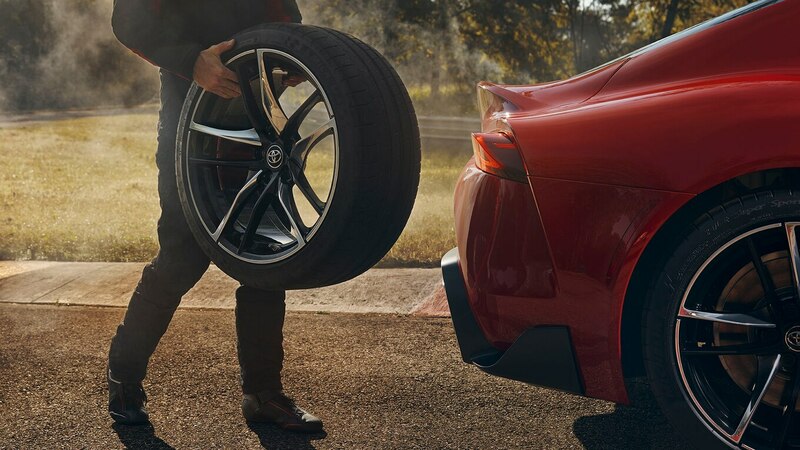 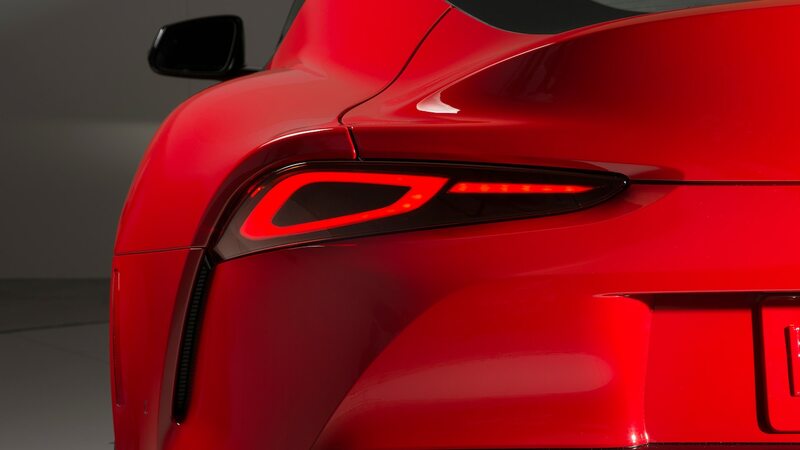 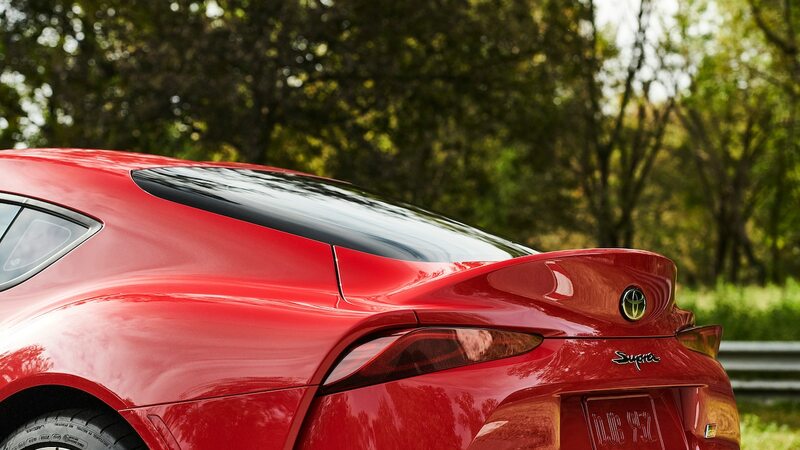 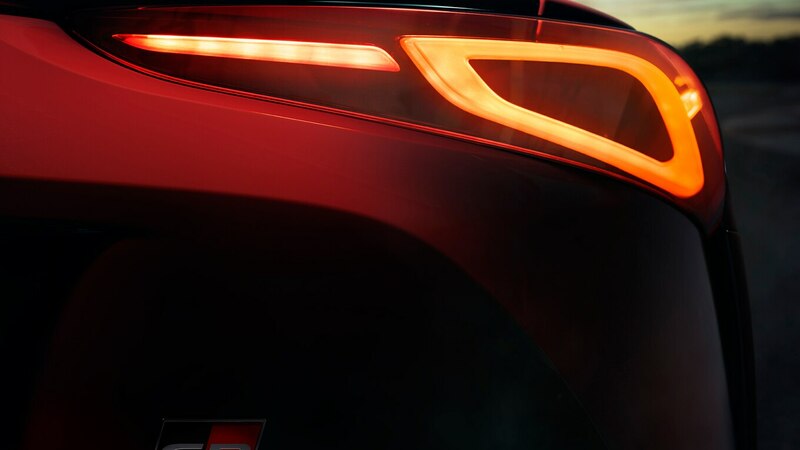 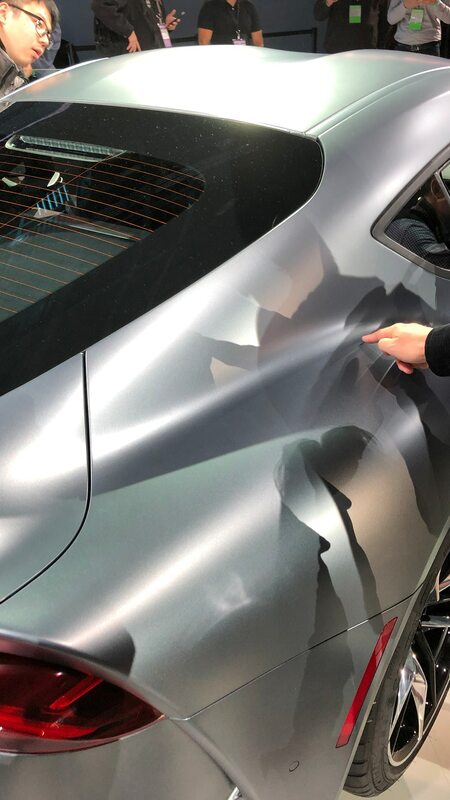 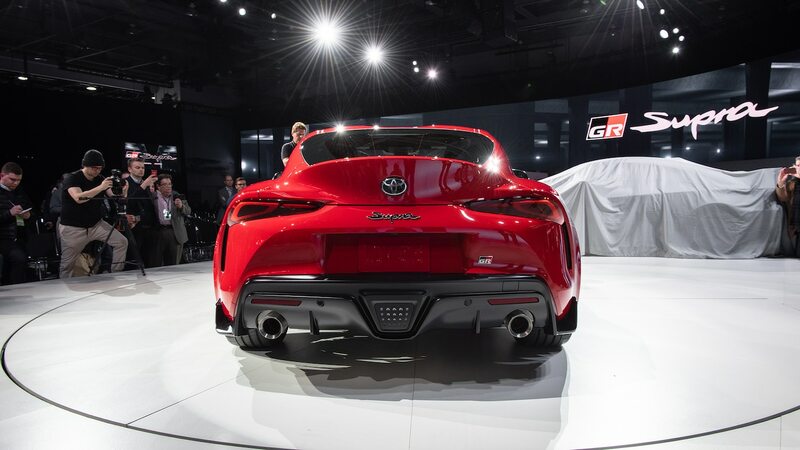 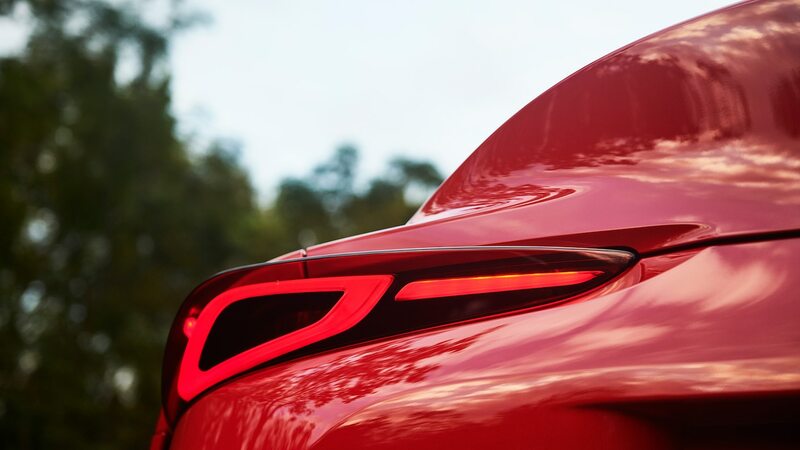 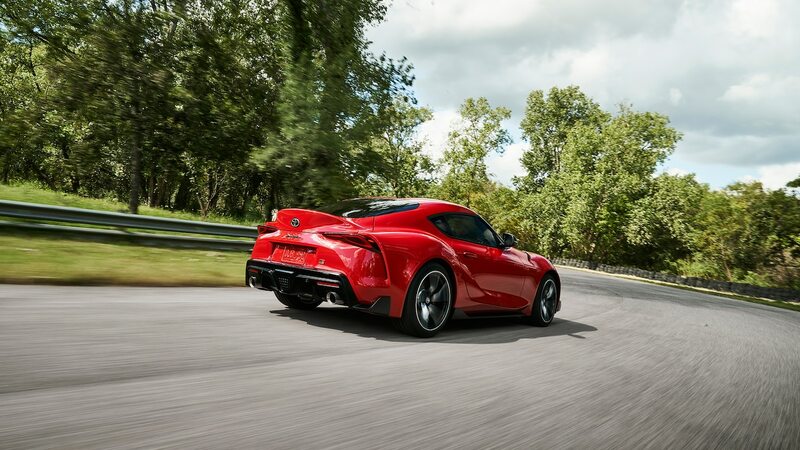 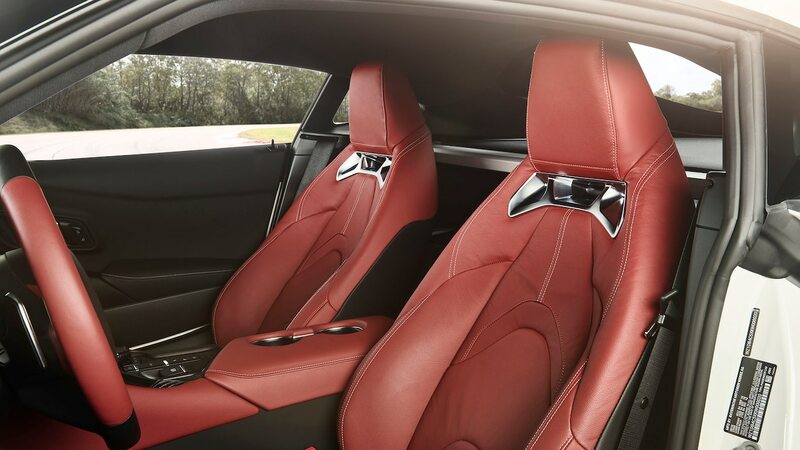 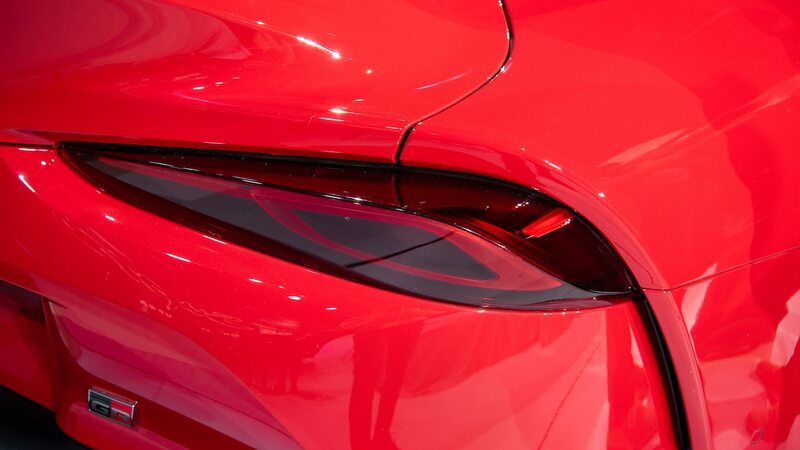 Nakamura says the Lexus LC coupe’s rear quarter panels own the depth record for all Toyota brands, but he adds that the flatter LC panels aren’t as tricky to manufacture as the super-curvy Supra rear flanks. 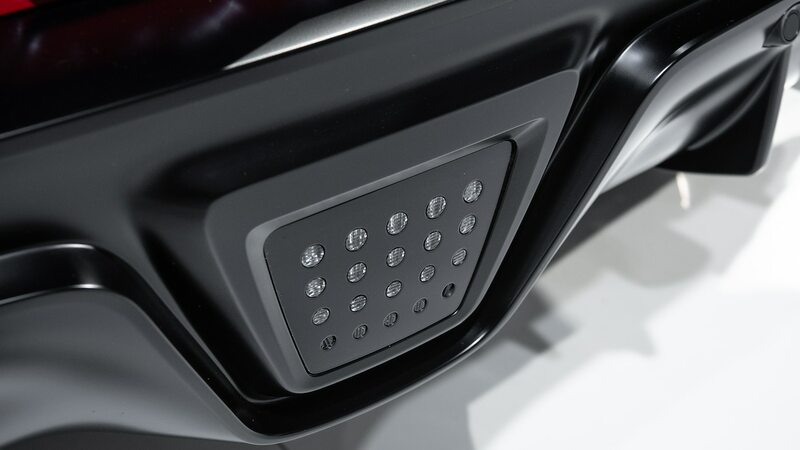 (MT technical director Frank Markus confirms that deep stampings of complicated shapes risk tearing sheetmetal or introducing imperfections.) 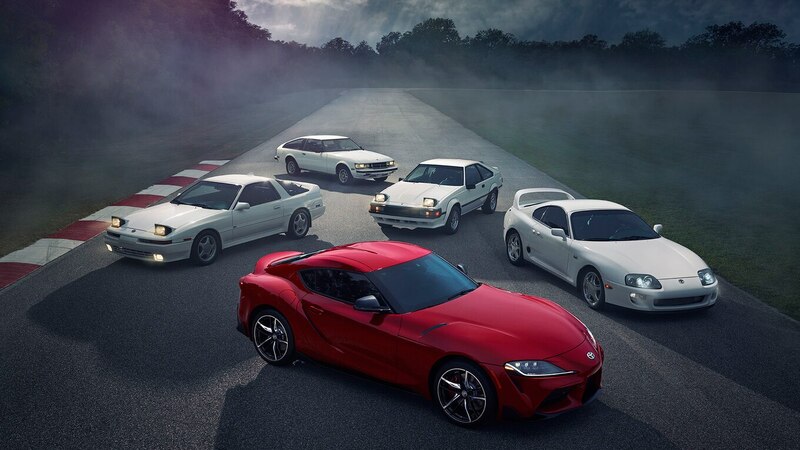 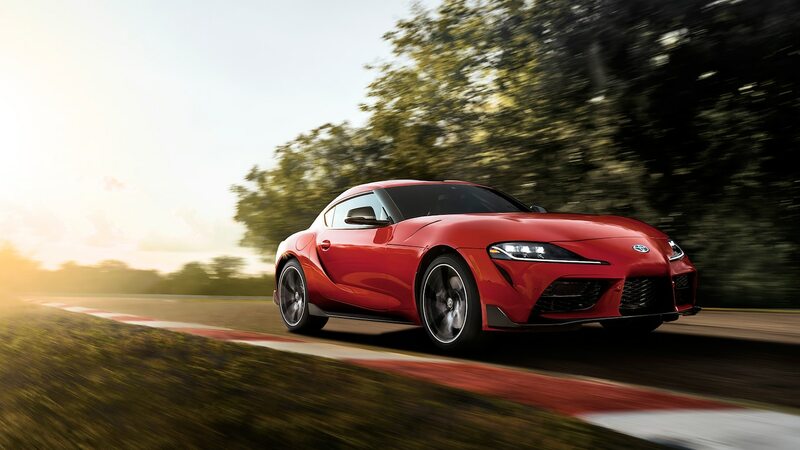 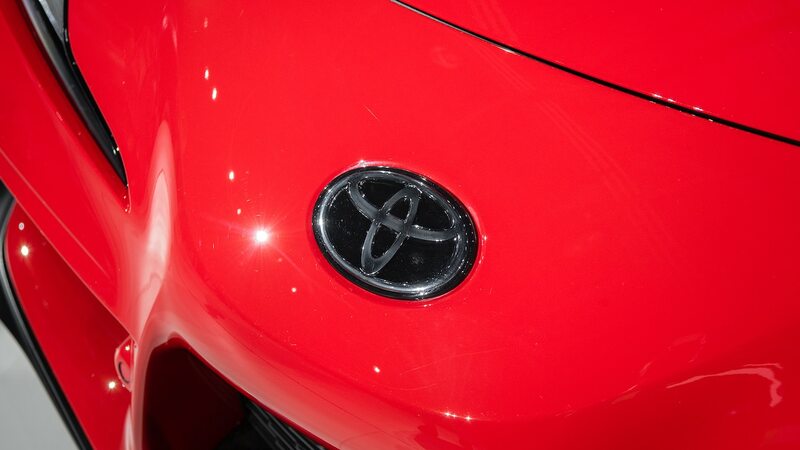 Although Nakamura wasn’t ready to say outright that Supra has Toyota brand’s deepest draw ever, he couldn’t think of a production Toyota that beats it. 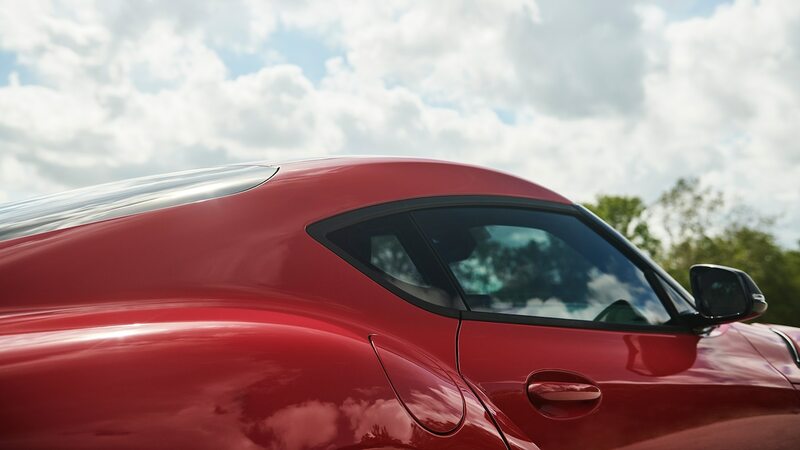 Neither can we. 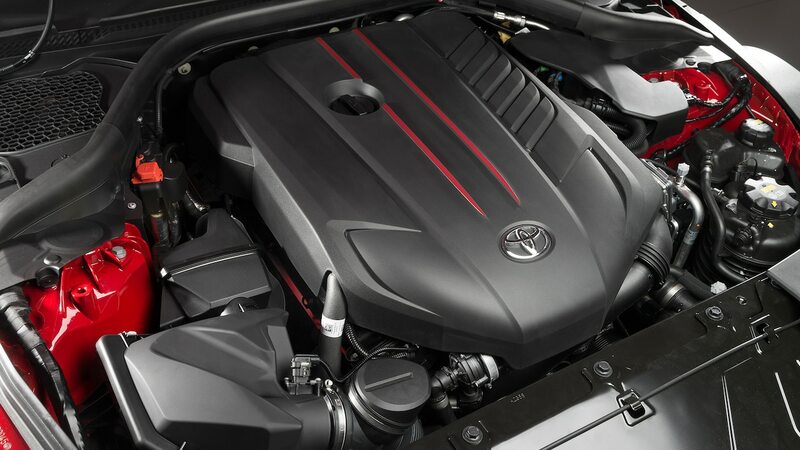 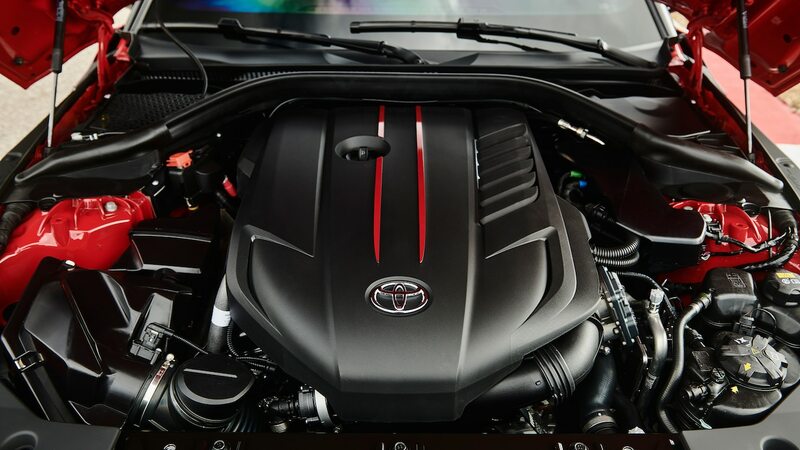 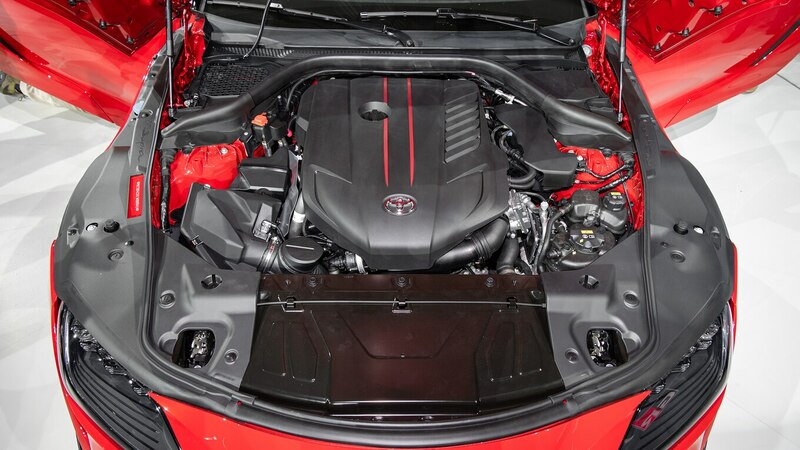 Toyota would not officially comment on how much boost pressure is created by the twin-scroll single turbo that feeds the 3.0-liter I-6 engine. 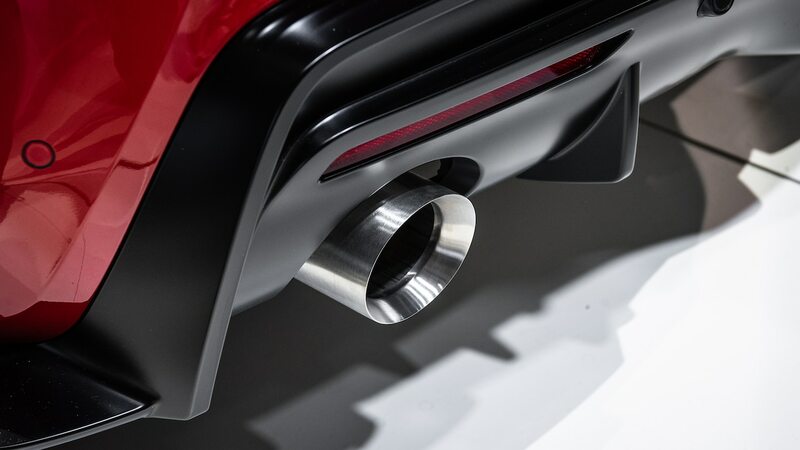 Sources we chatted with estimate it to be around 0.7–0.8 bar, which is somewhere around 10–11 psi. 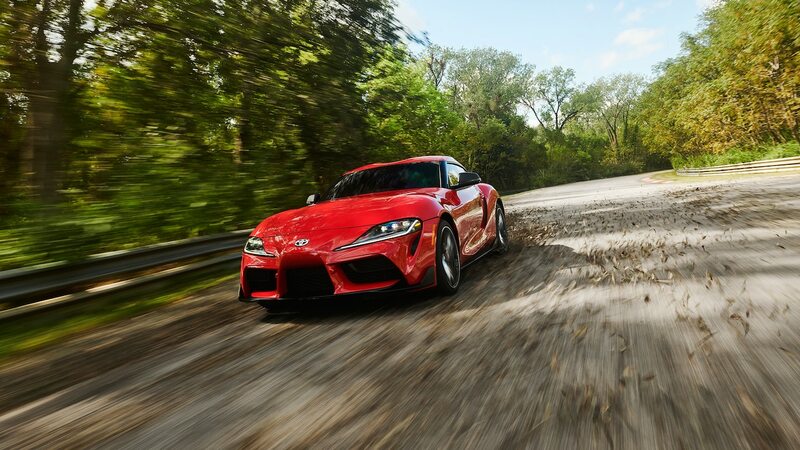 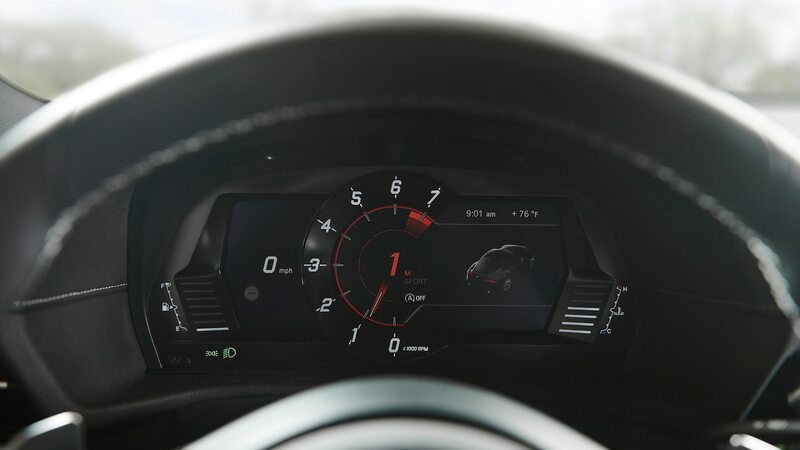 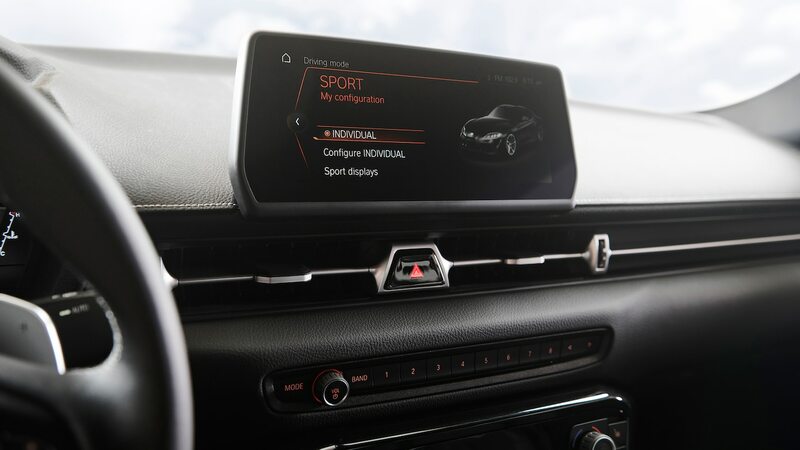 A separate, well-placed source told us that, apparently, there may be as much as 40 horsepower available via ECU tuning and boost pressure increase. 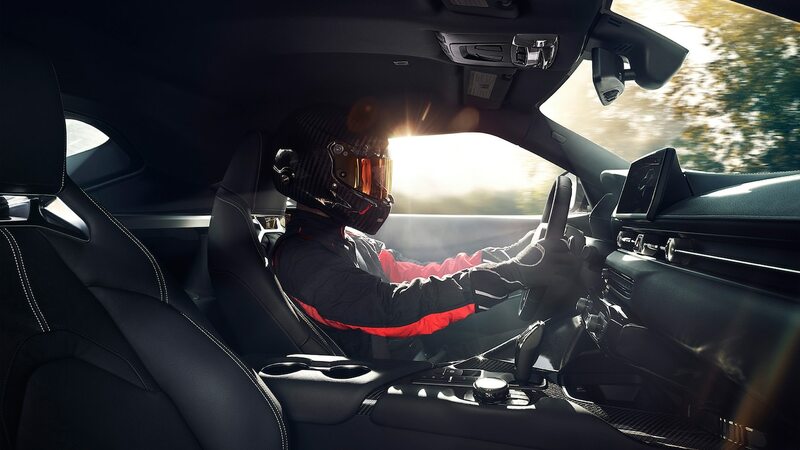 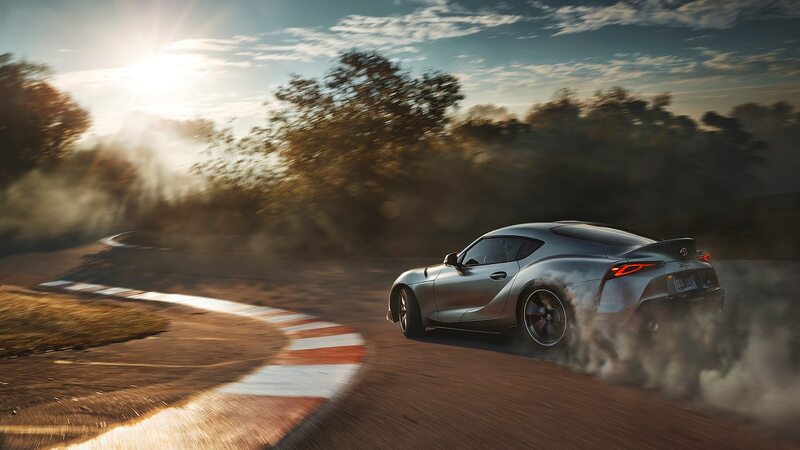 Toyota factory drifter Fredric Aasbo spent significant time behind the wheel of a pre-production Supra at a driving event at Jarama Circuit in Spain and raves about the vehicle’s balance and immediacy. 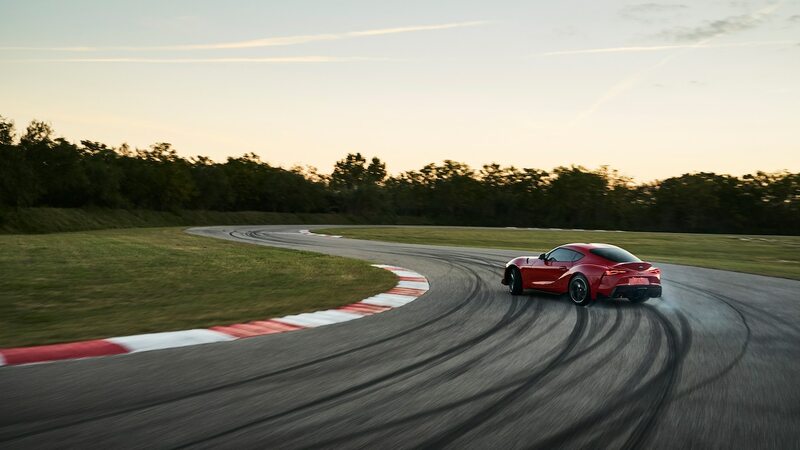 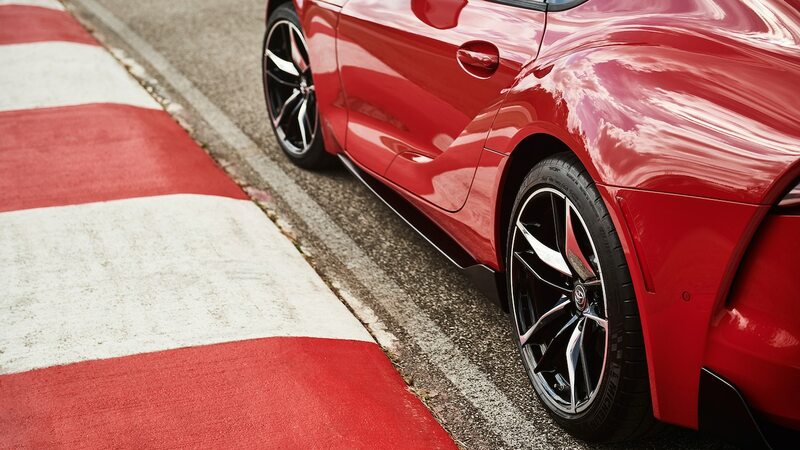 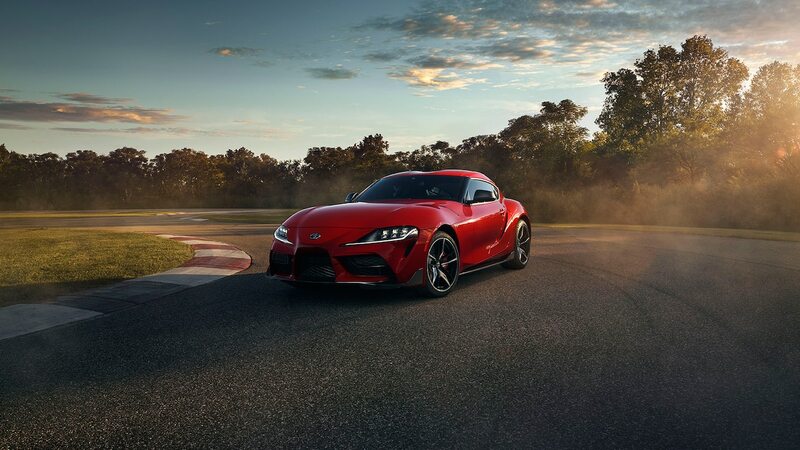 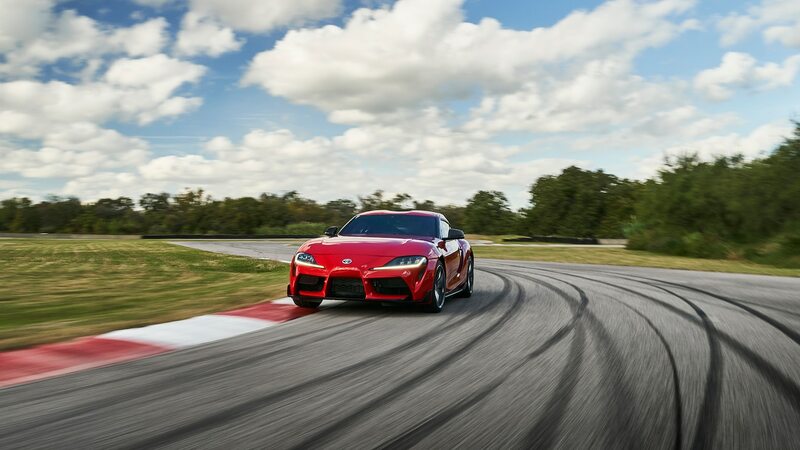 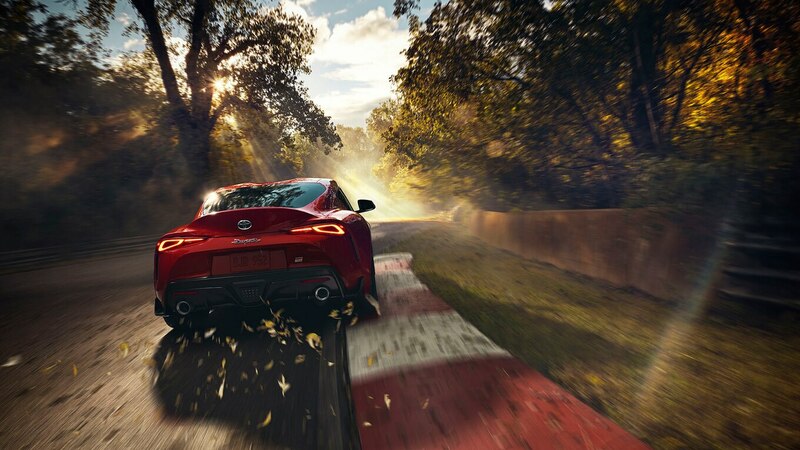 “Jarama Circuit was a great place to [drive] the Supra because it is banked with lots of surface features—these can expose a lot of weaknesses,” Aasbo said. 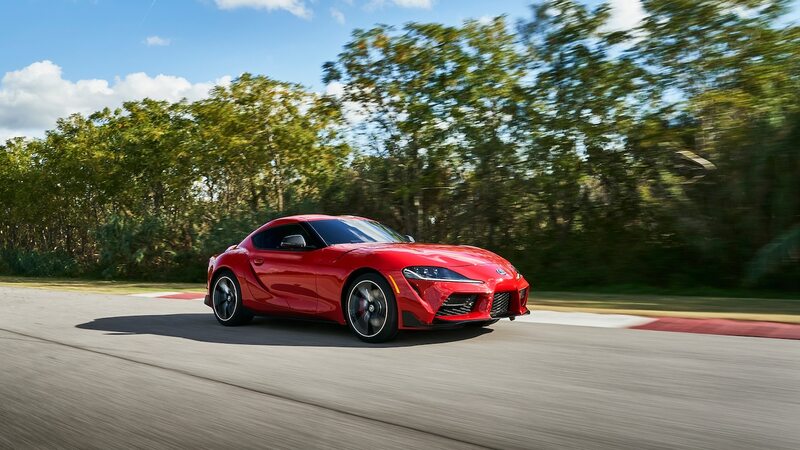 He says Supra fans will not be disappointed, especially if they want to compare it to the much-beloved previous generation A80 Supra (which was last sold in the U.S. in 1998). 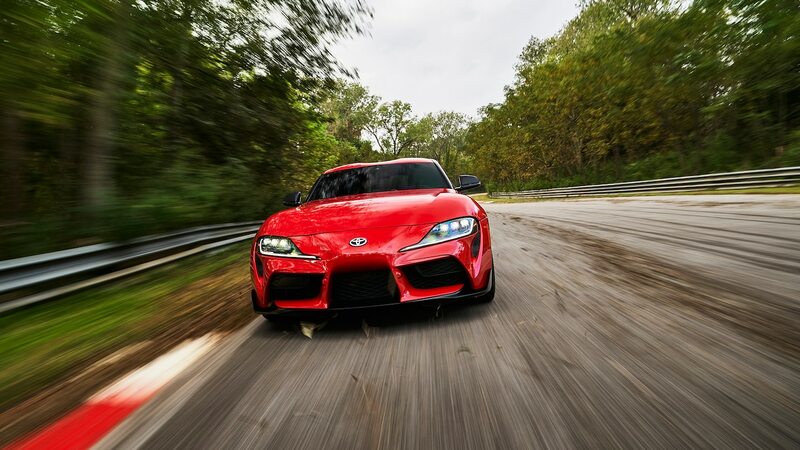 Aasbo should know: He owns three fourth-generation Supras and claims the fifth-generation A90 has power that’s available on demand and much quicker steering. 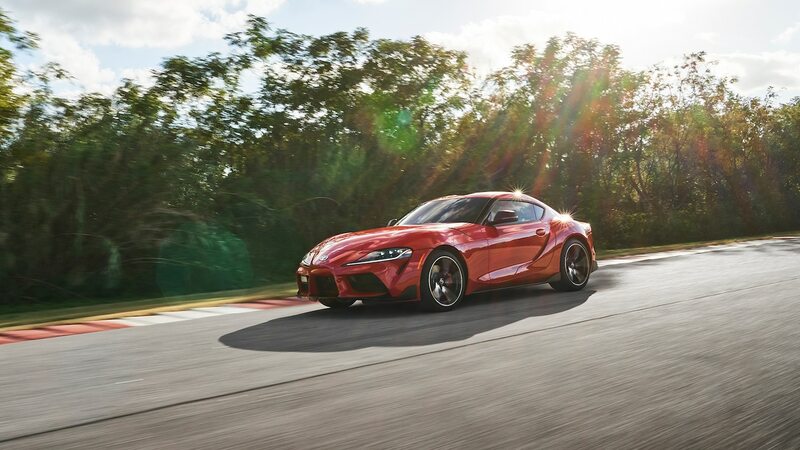 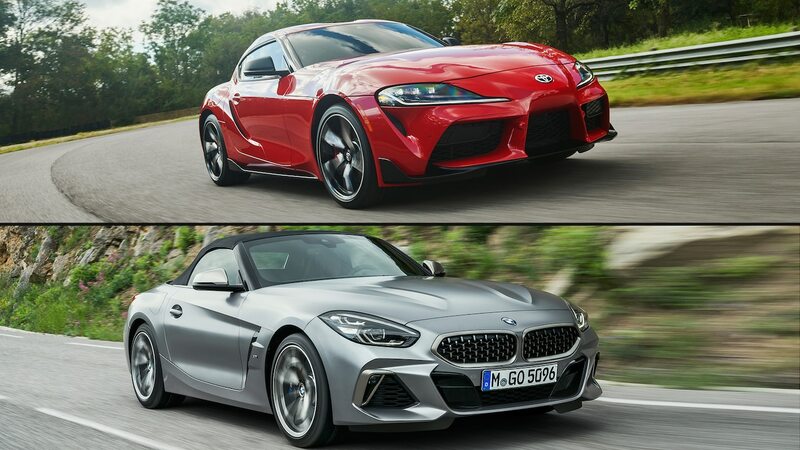 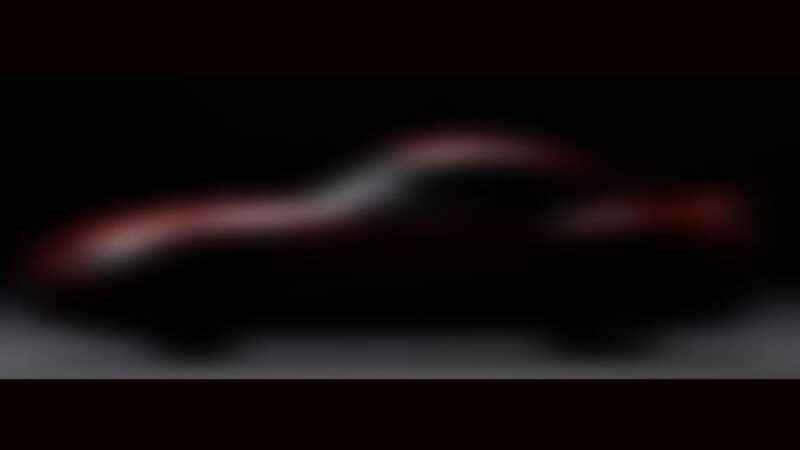 We couldn’t confirm if a hotter version of Supra is in the works, but it stands to reason, given Akio’s interest in high performance under the Gazoo Racing (Meisters of Nürburging) banner. 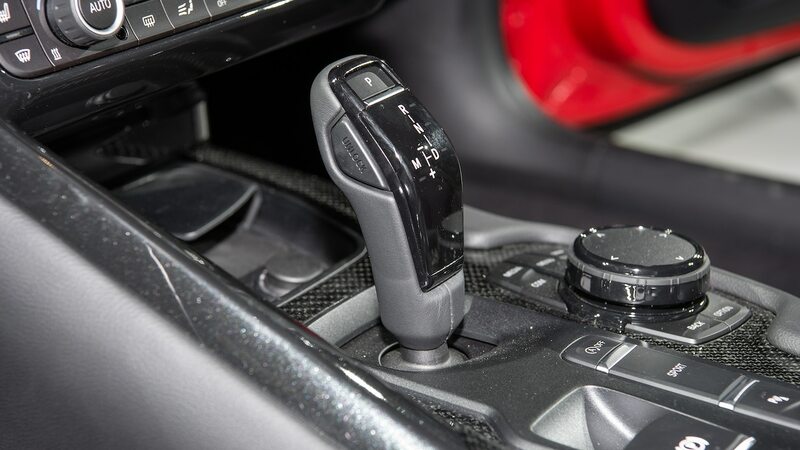 But aside from turning up the boost for more power, where other improvements could be made is not immediately clear. 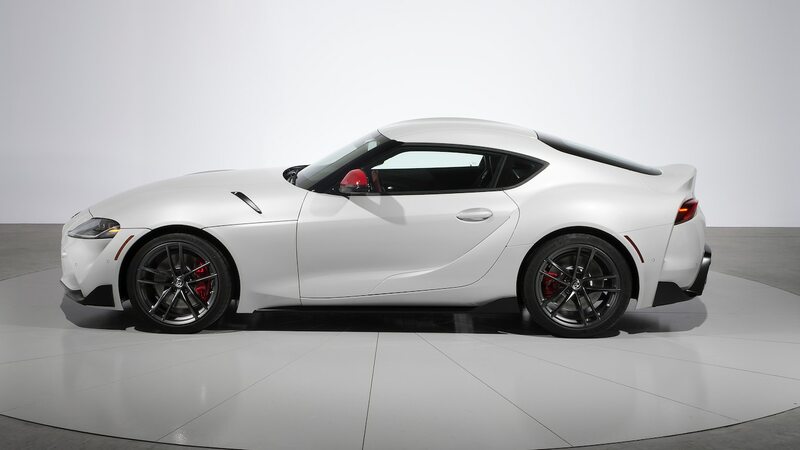 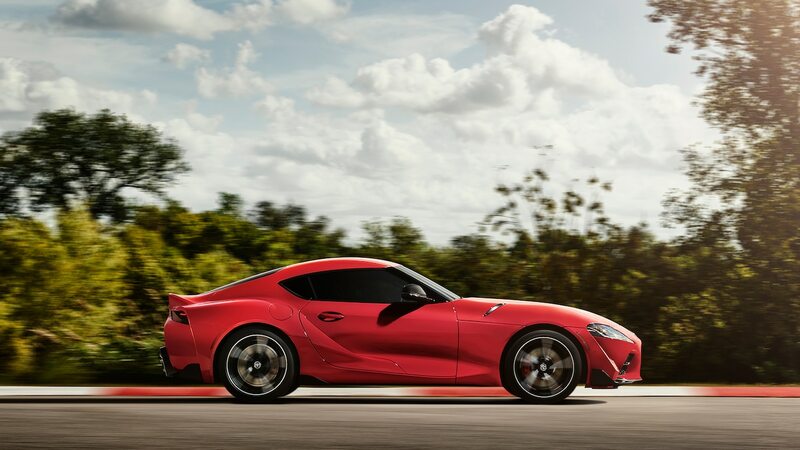 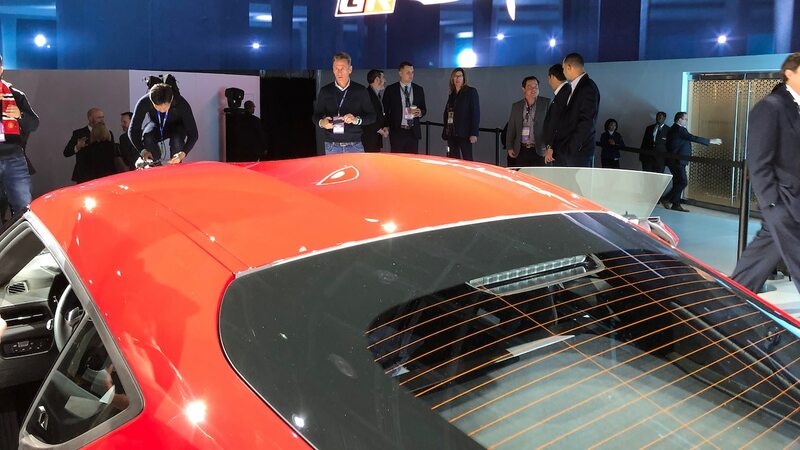 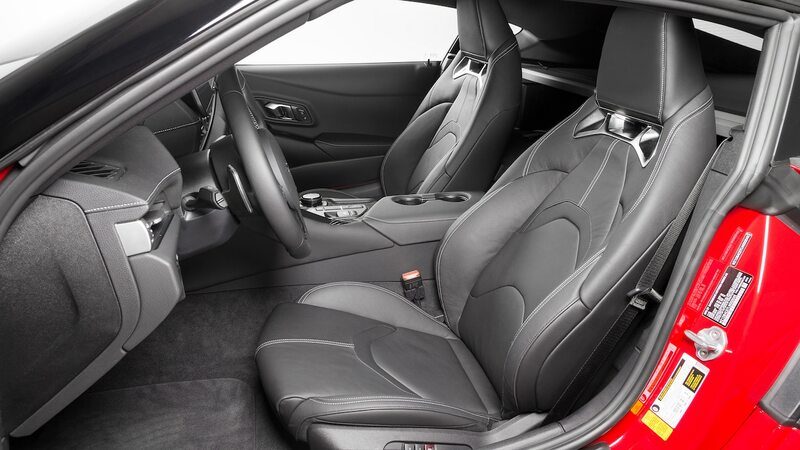 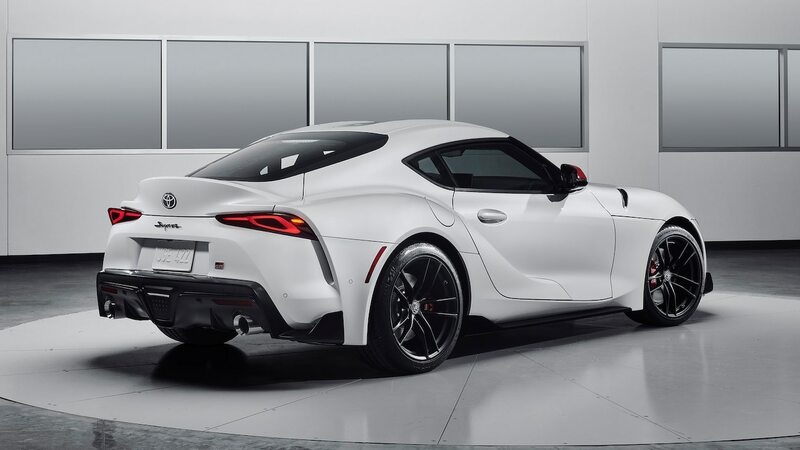 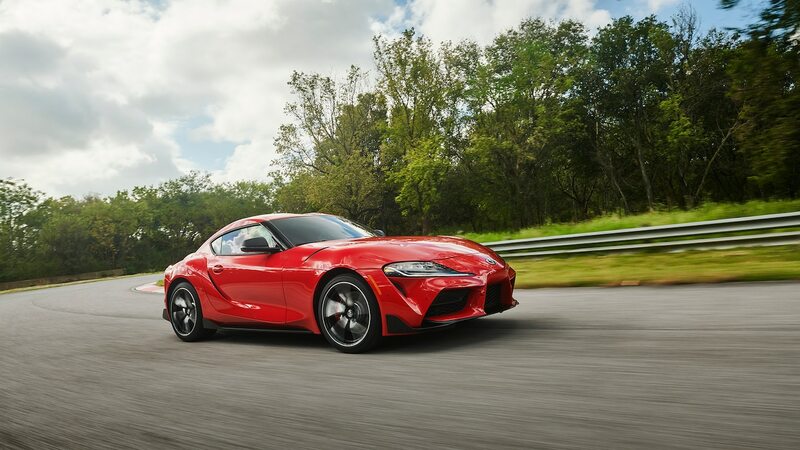 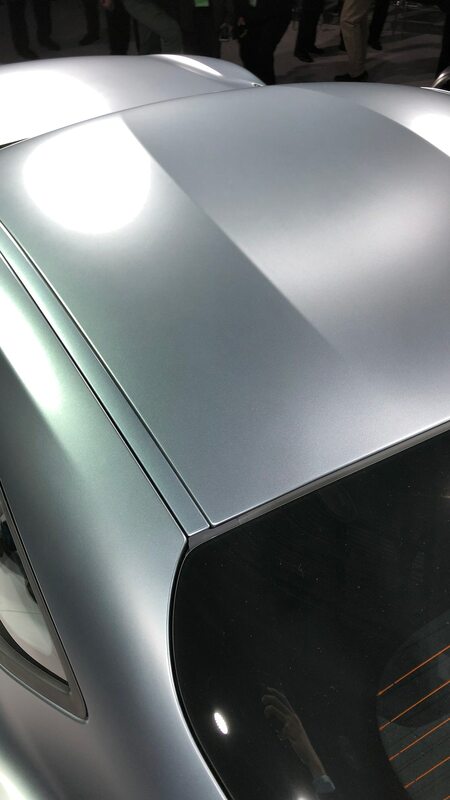 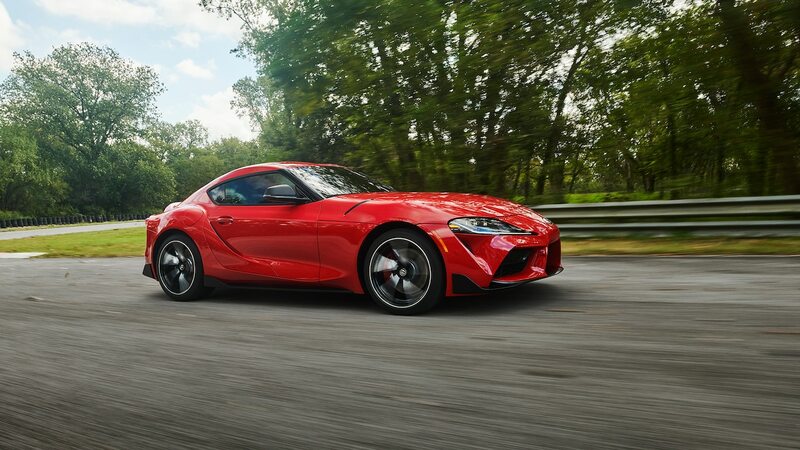 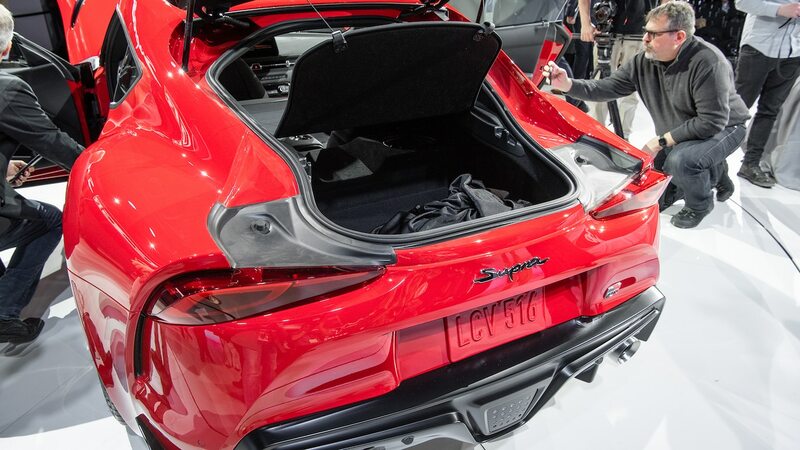 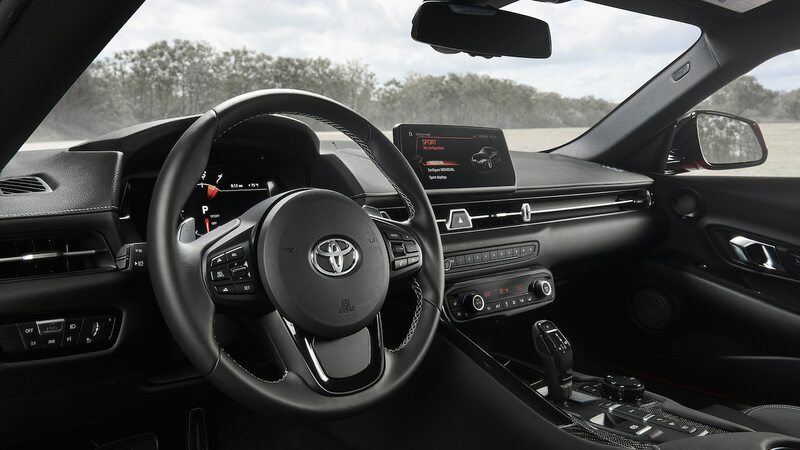 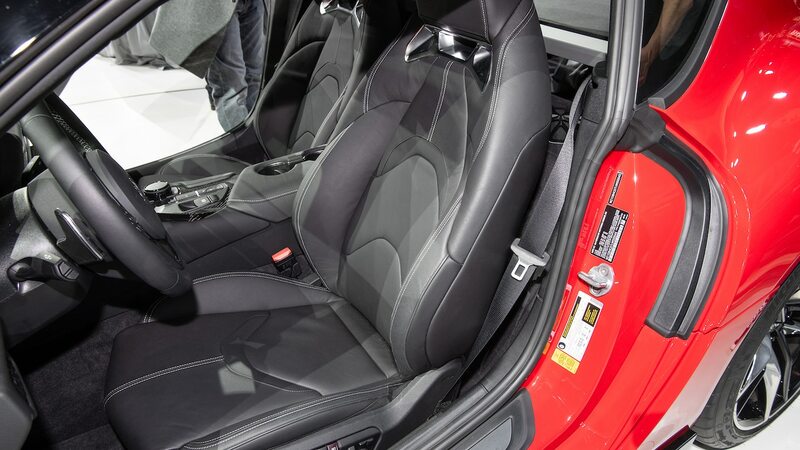 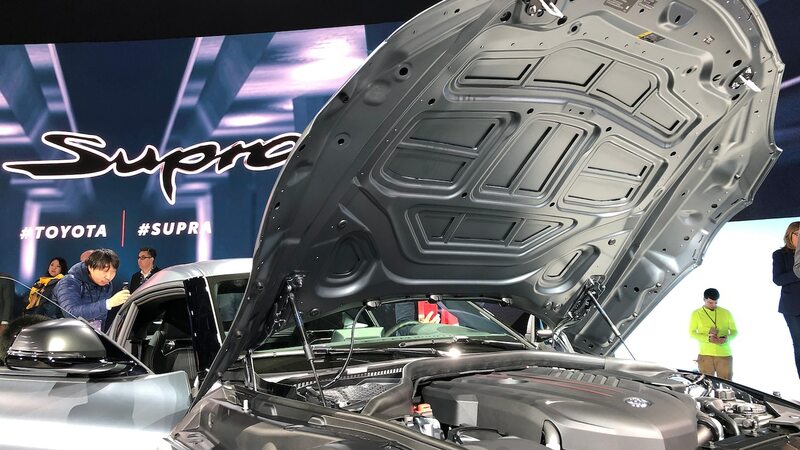 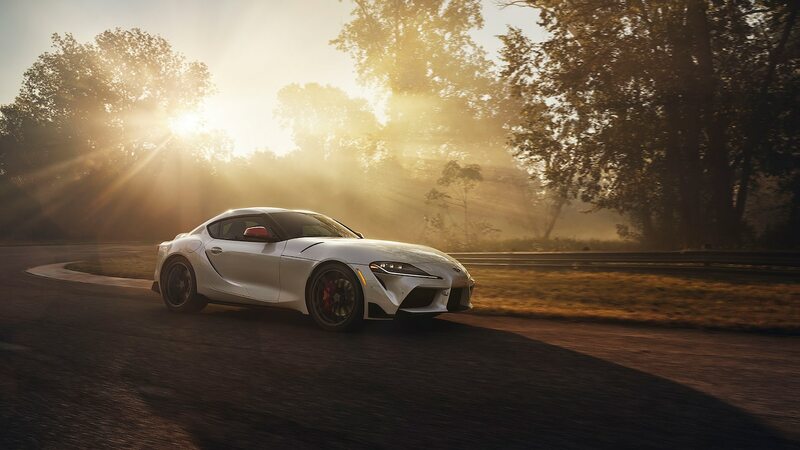 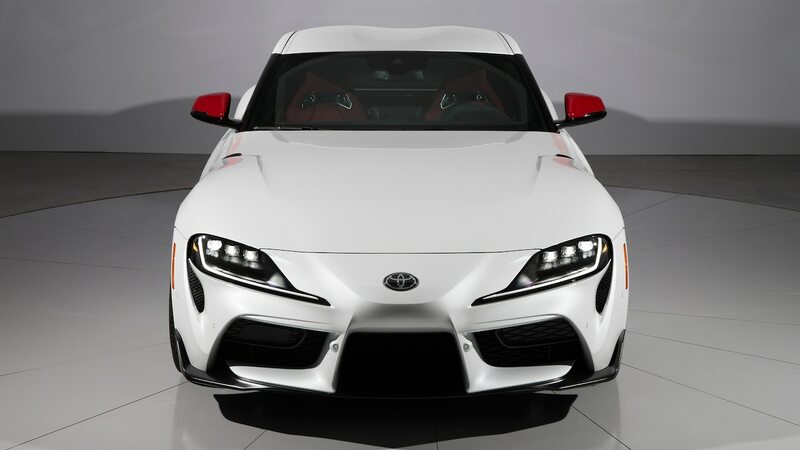 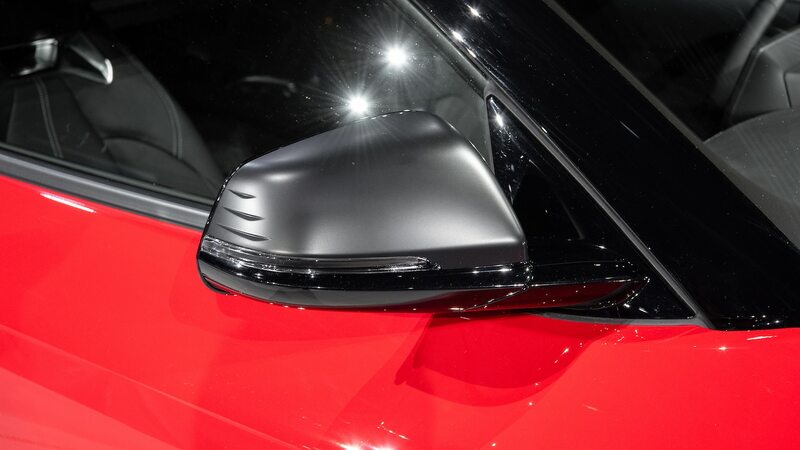 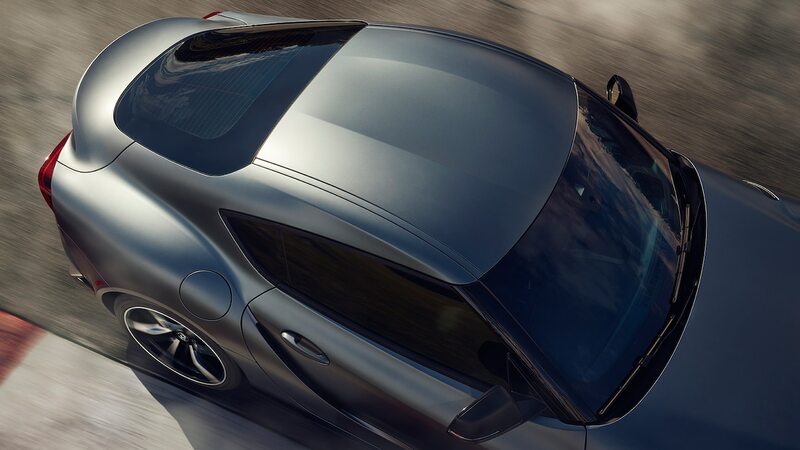 Weight savings could come with the switch to lighter materials, but with that huge aluminum hood, aluminum door skins, and composite rear decklid, Toyota’s performance gurus would have to use massive swaths of carbon fiber to realize significant gains. 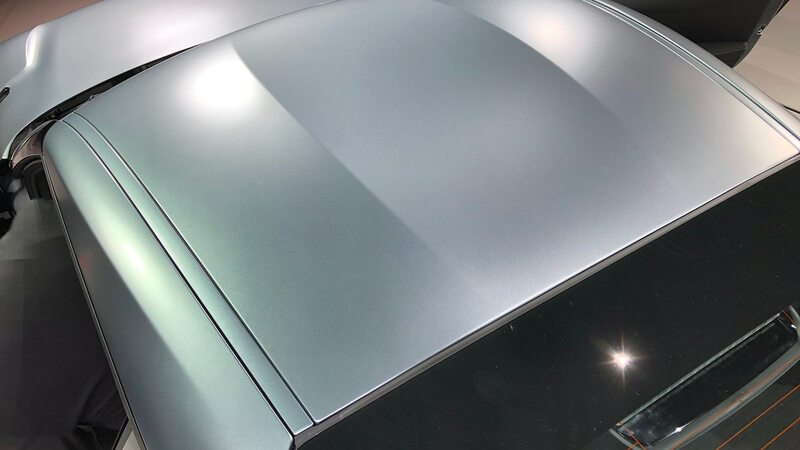 The separate roof panel that comprises the double bubble roof could be switched from steel to a lighter material, Nakamura says, but it’s such a small panel that it wouldn’t be huge savings. 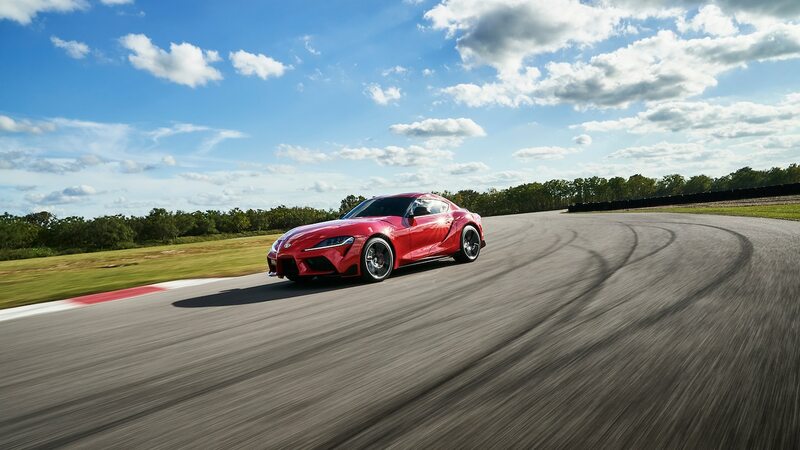 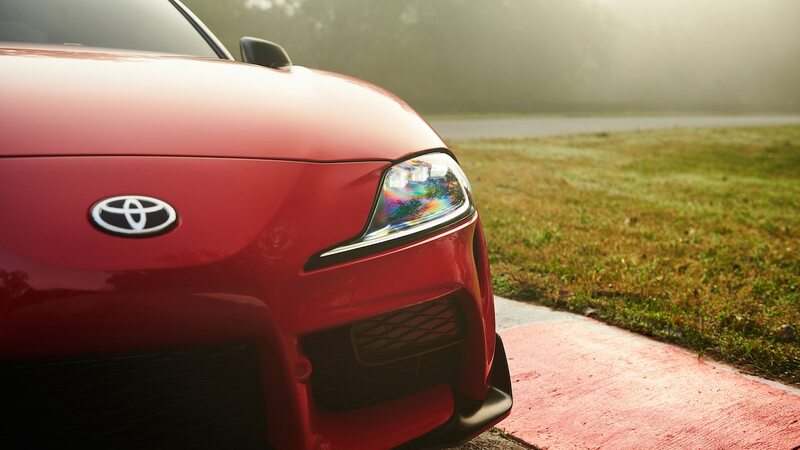 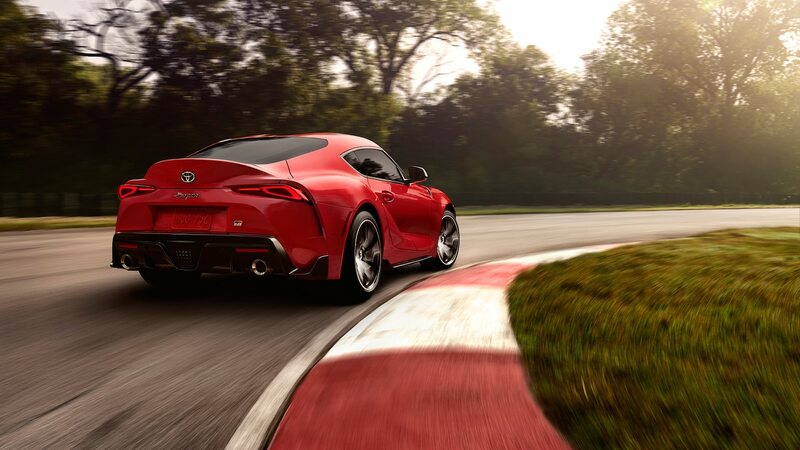 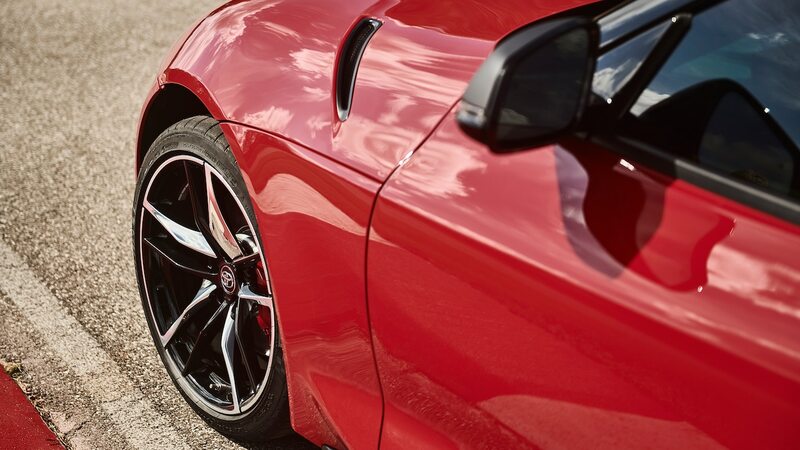 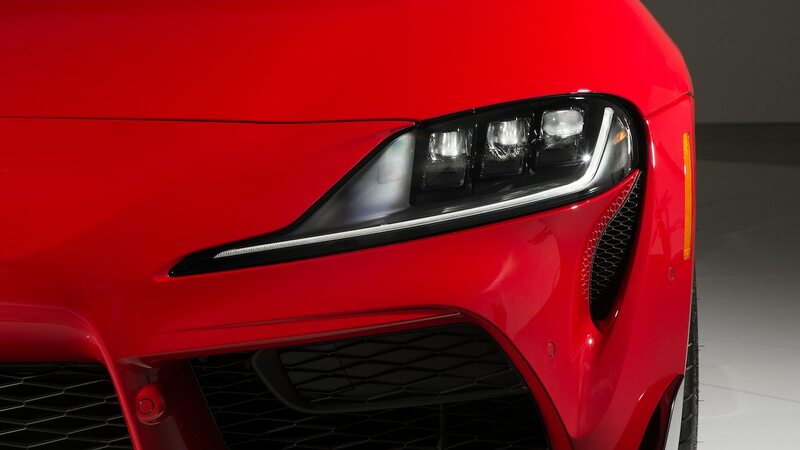 Perhaps Supra will pull tricks from the Lexus F playbook; the just-announced RC F Track Edition received lightweight upgrades that include forged racing wheels, aluminum-intensive suspension, and acres of carbon-fiber panels for a claimed savings of nearly 180 pounds (82 kg) over the standard RC F.